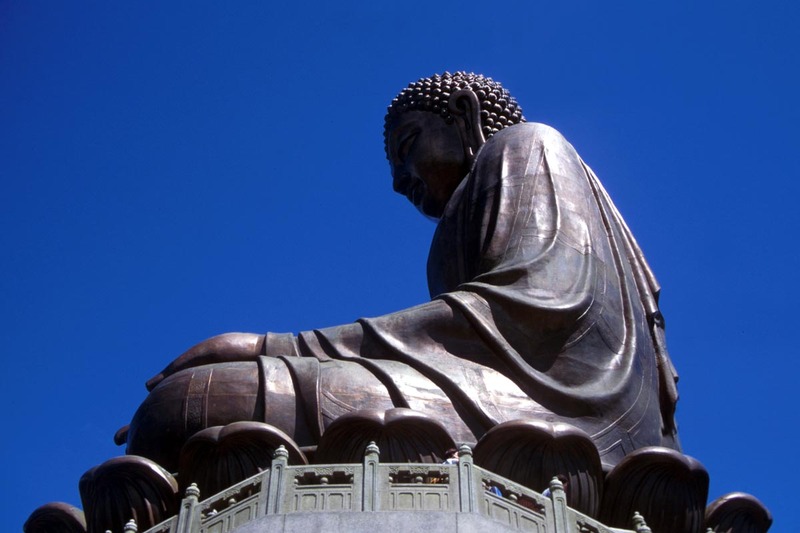 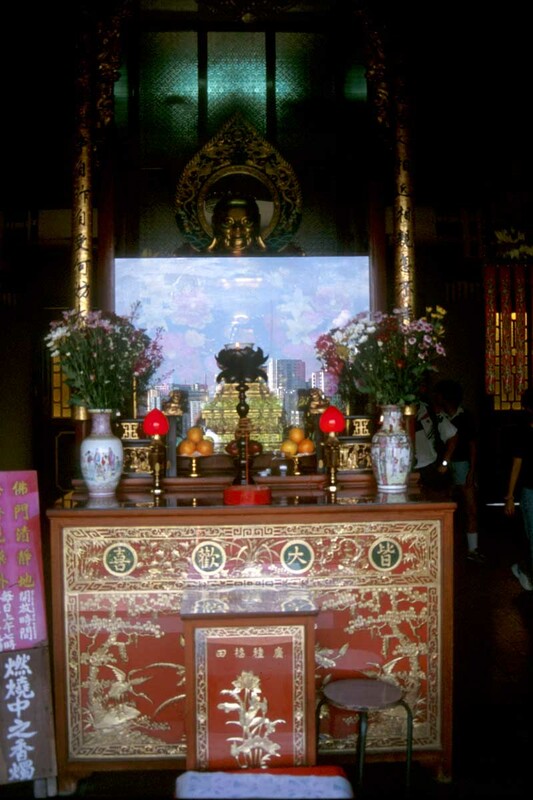 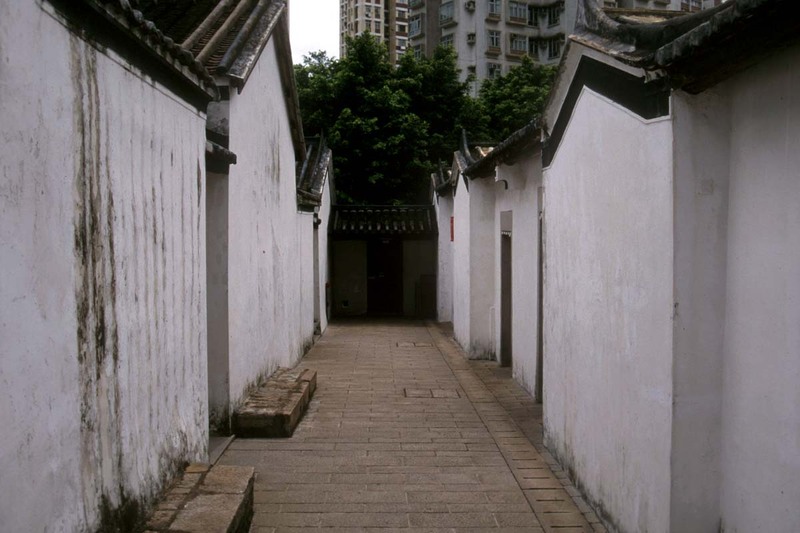 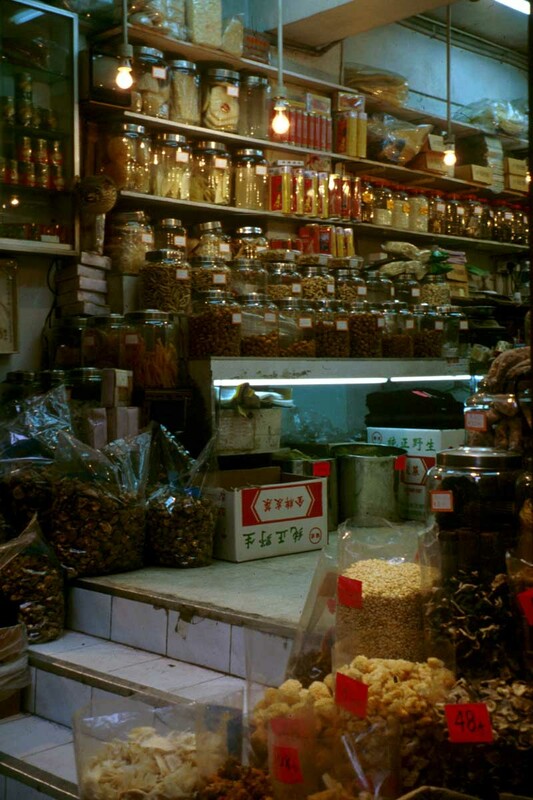 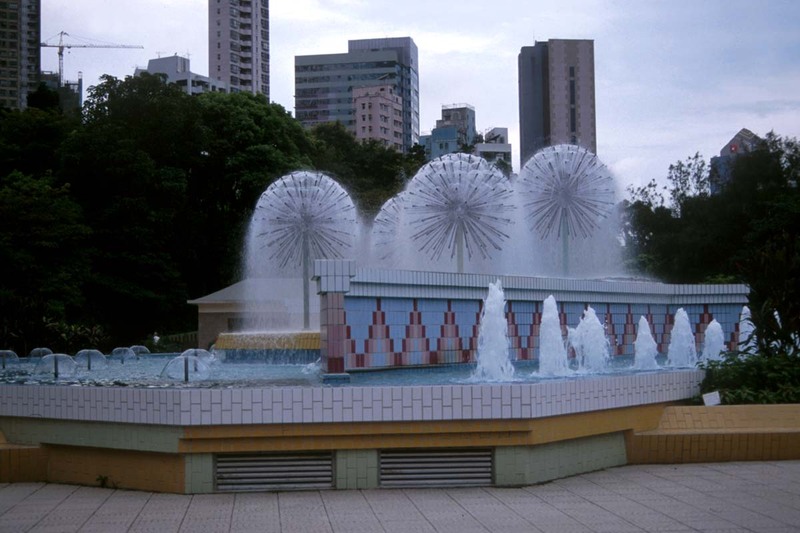 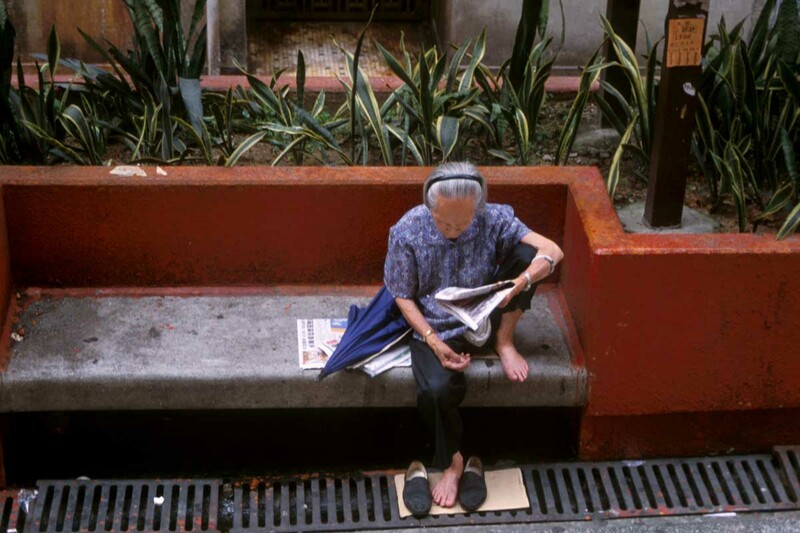 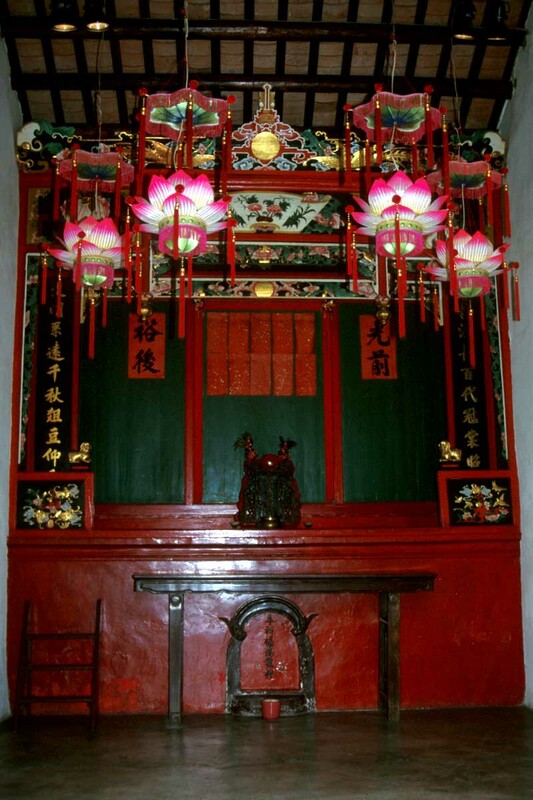 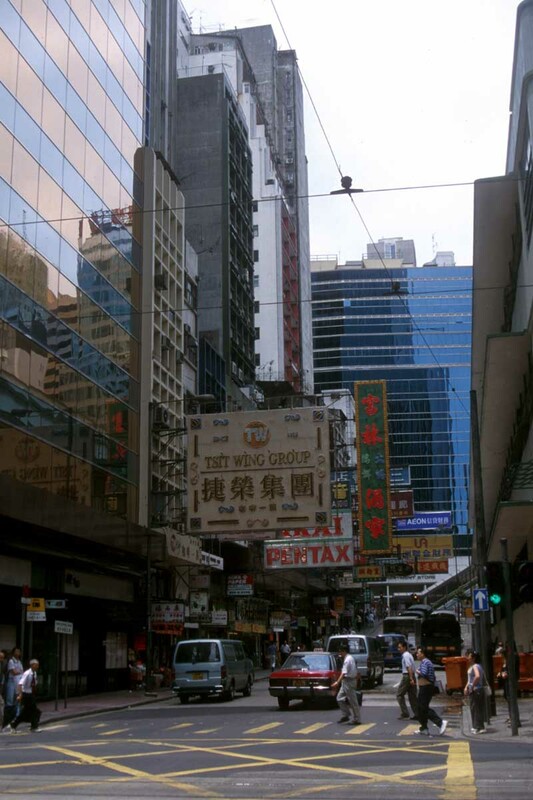 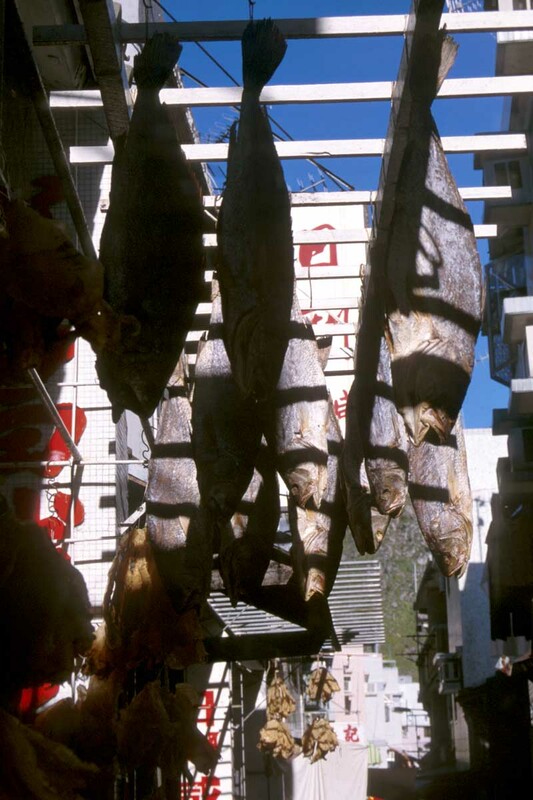 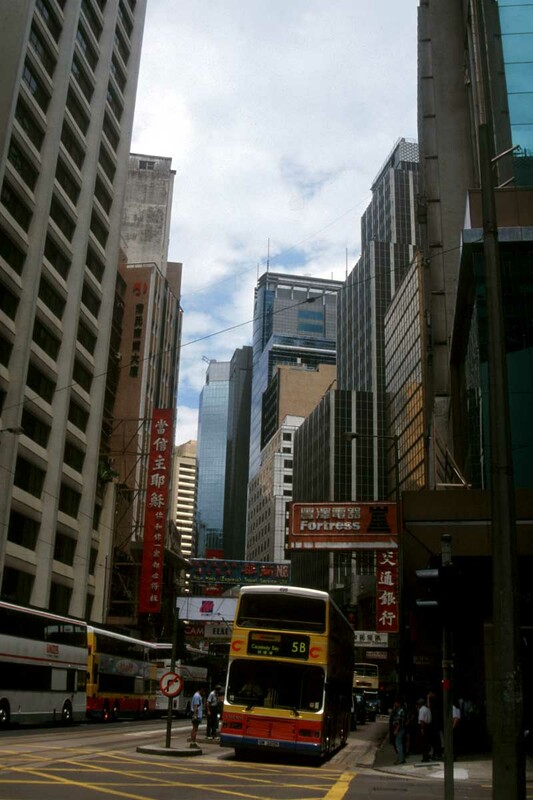 Hong Kong, travel info, free pictures. 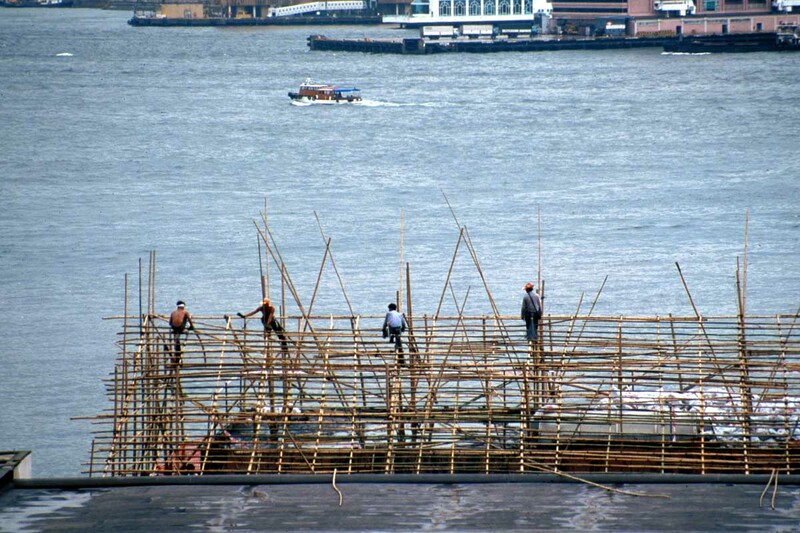 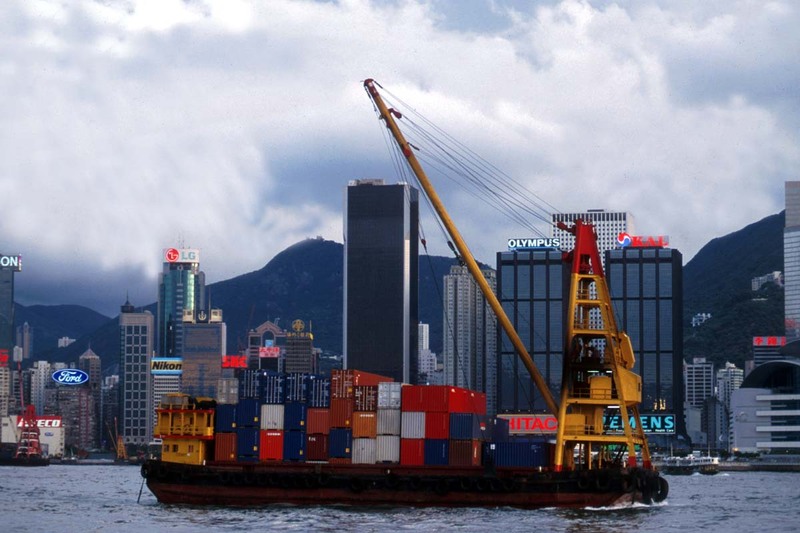 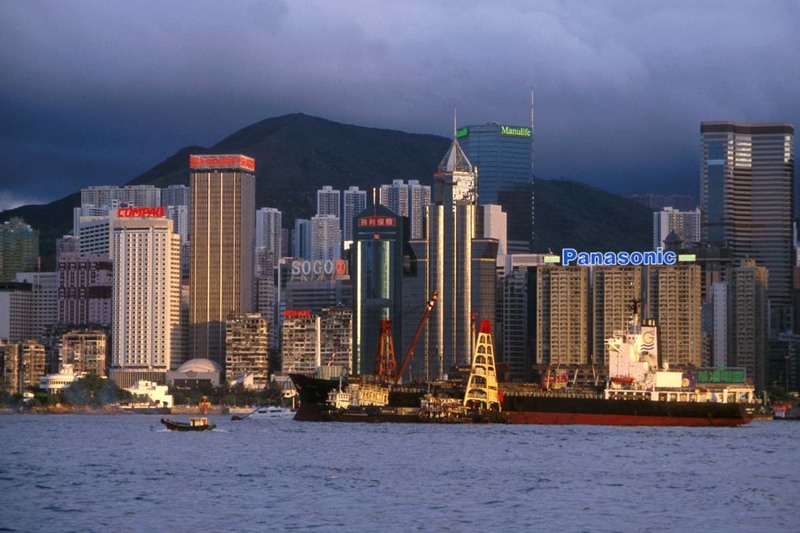 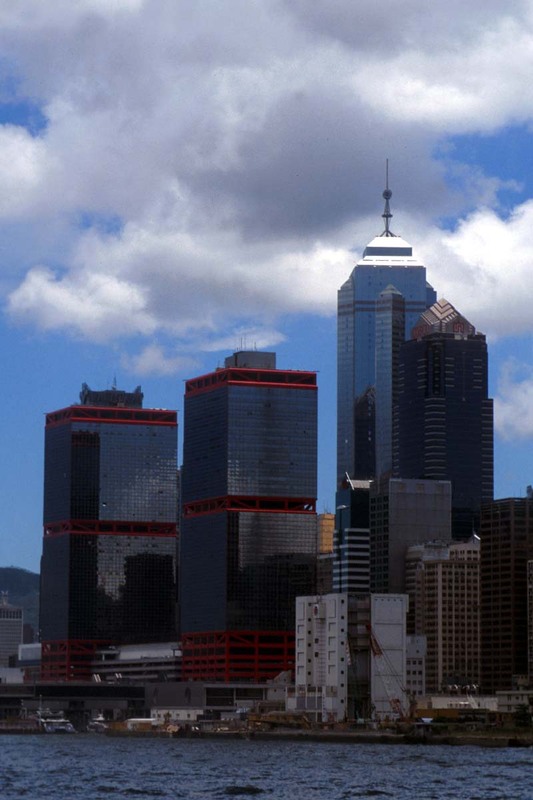 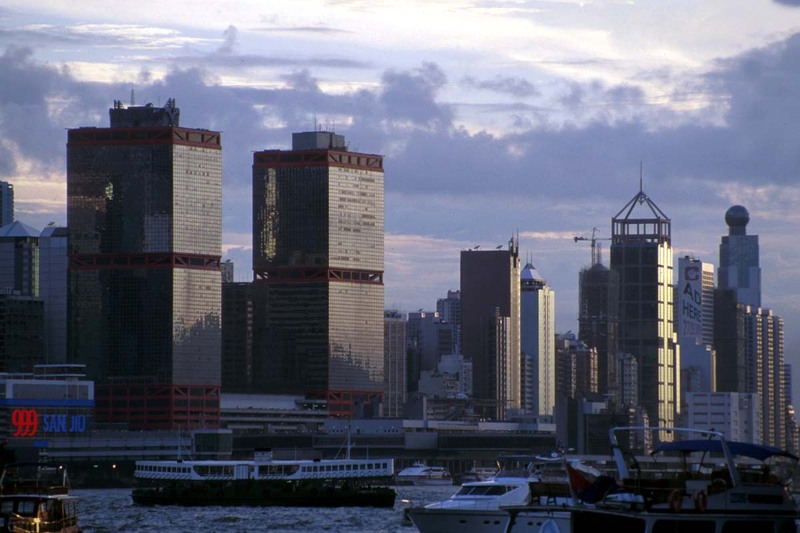 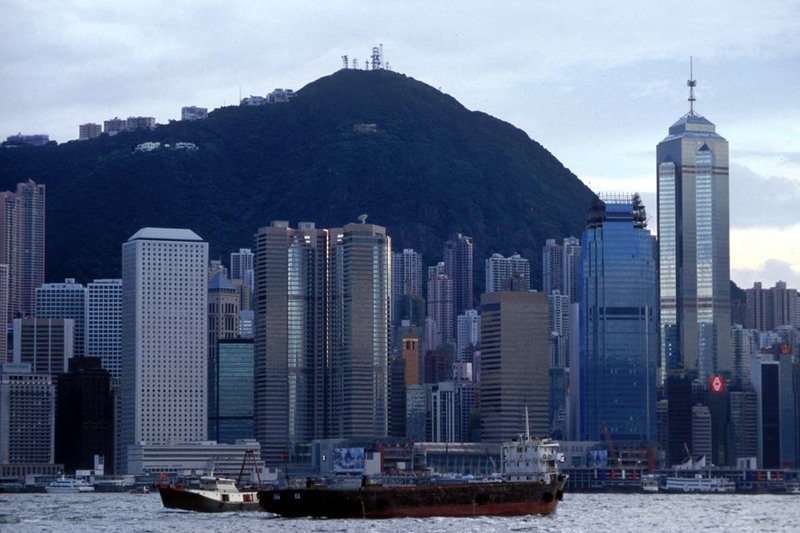 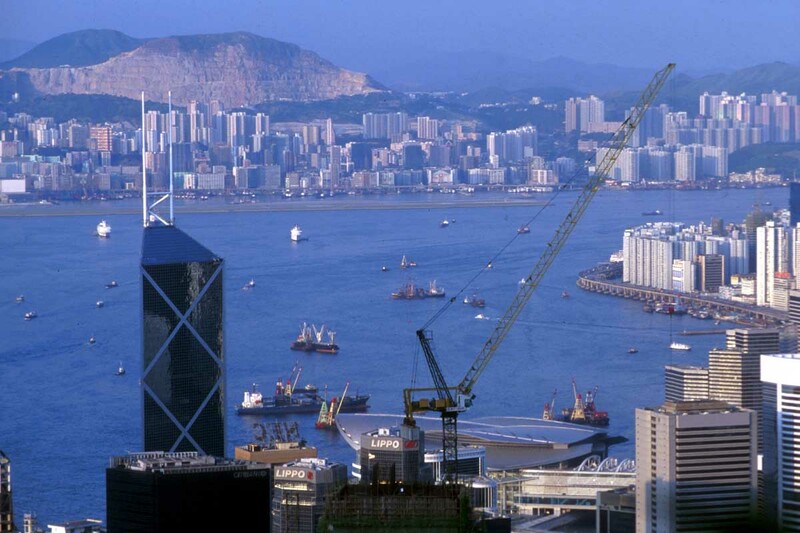 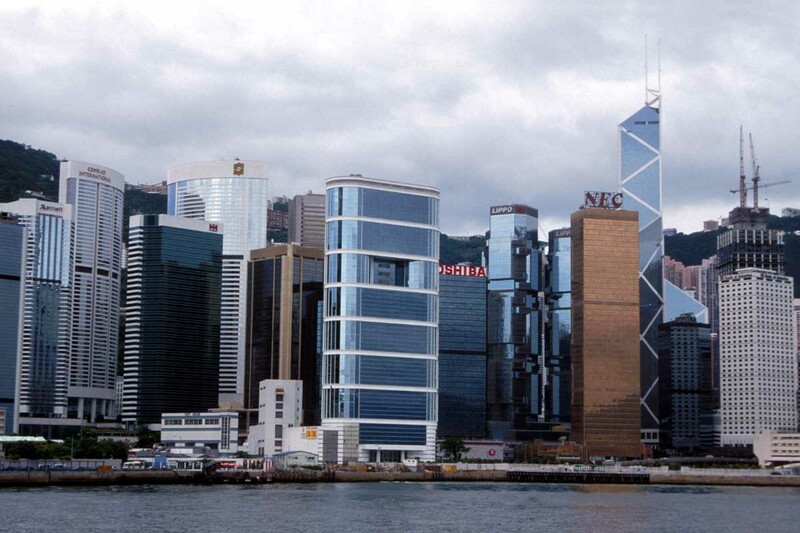 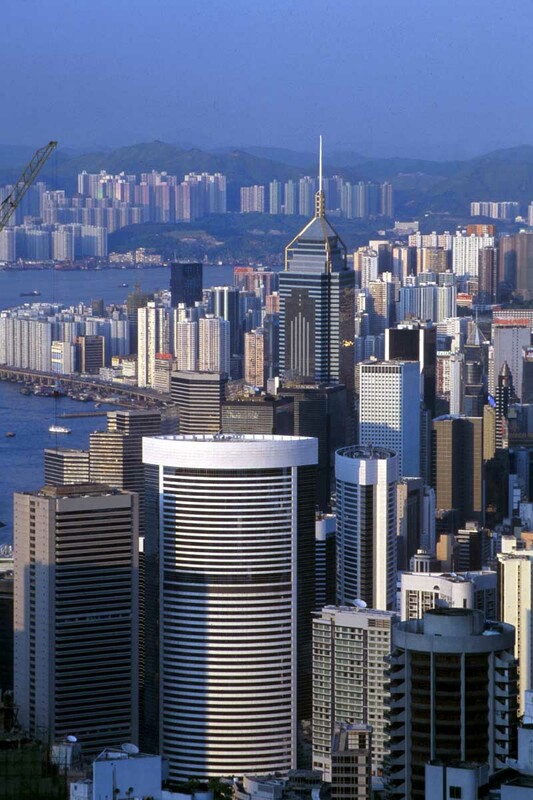 Hong Kong is ideally positioned in the centre of rapidly developing East Asia. 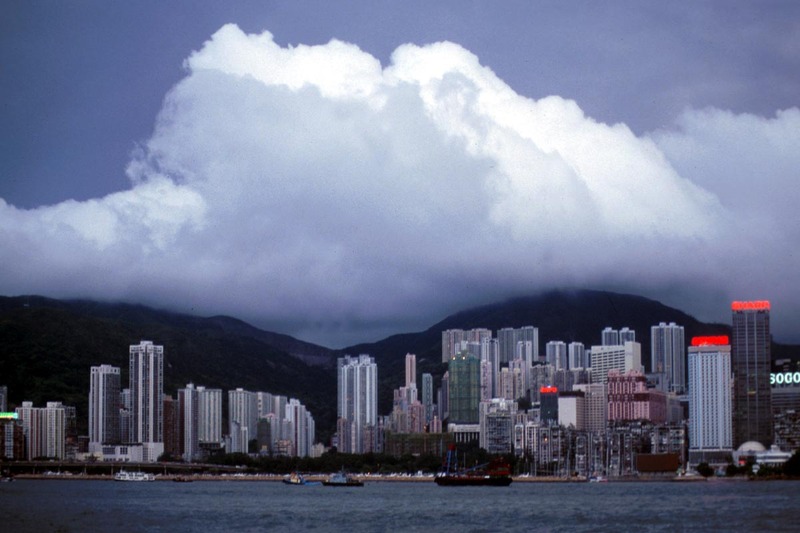 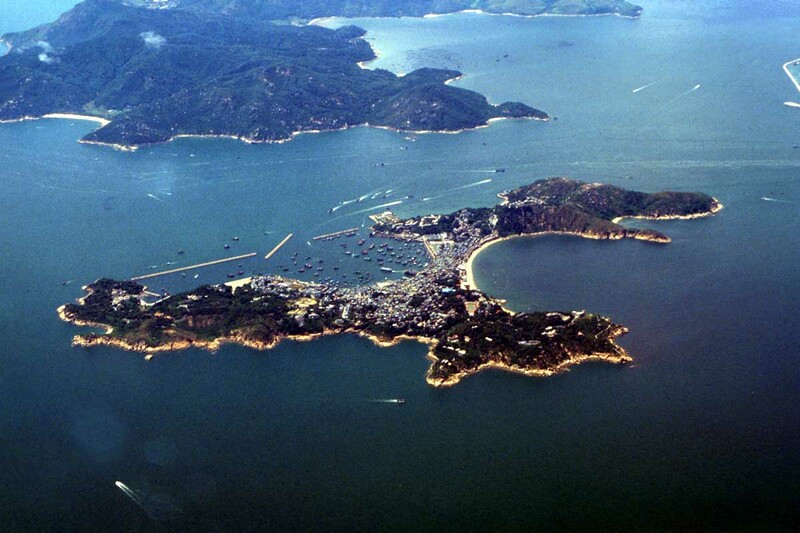 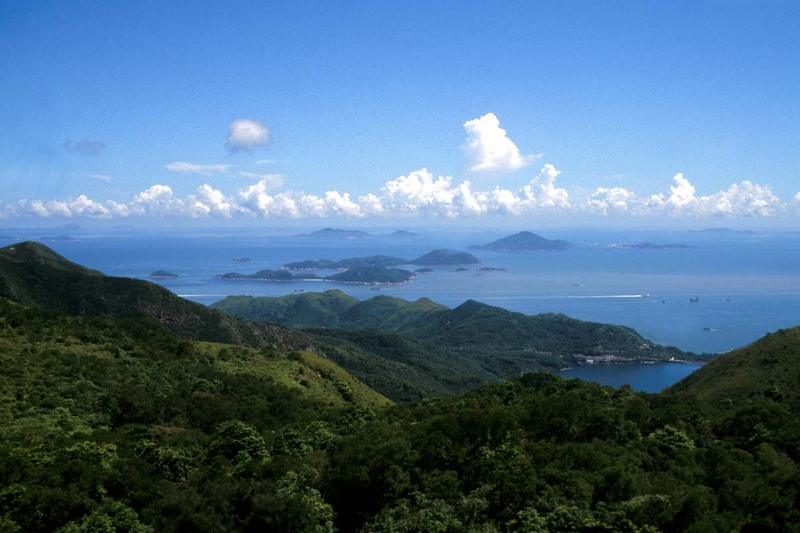 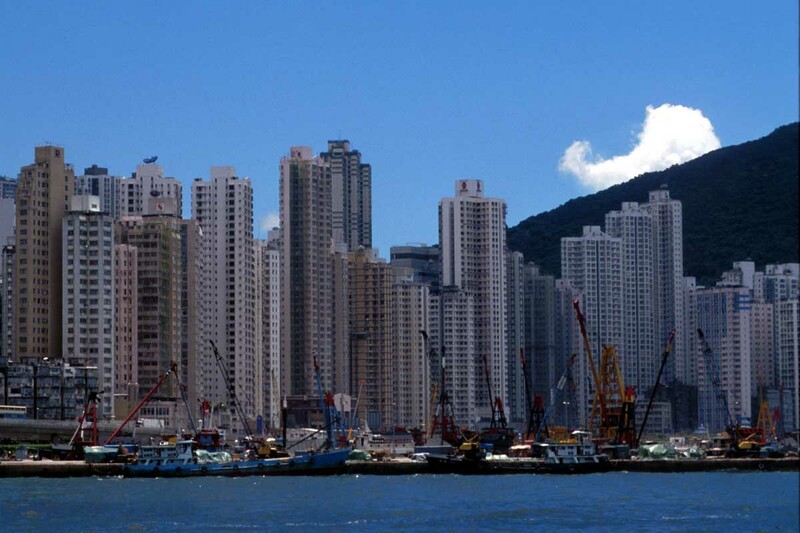 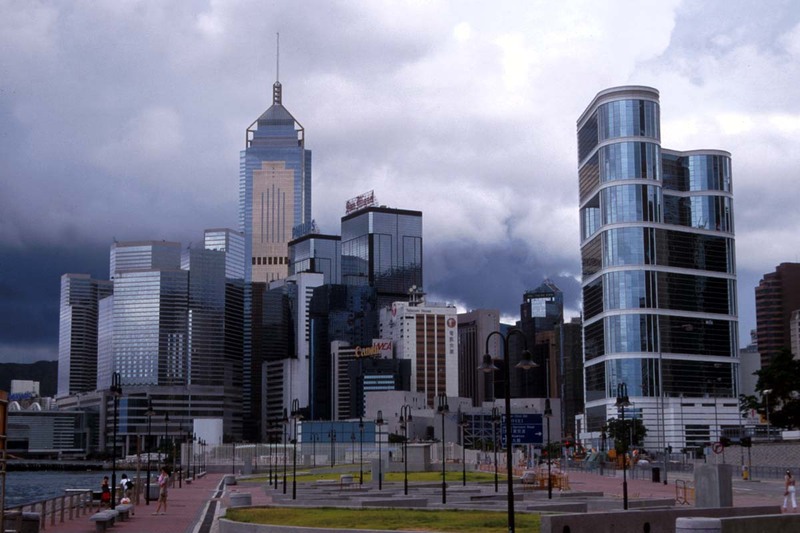 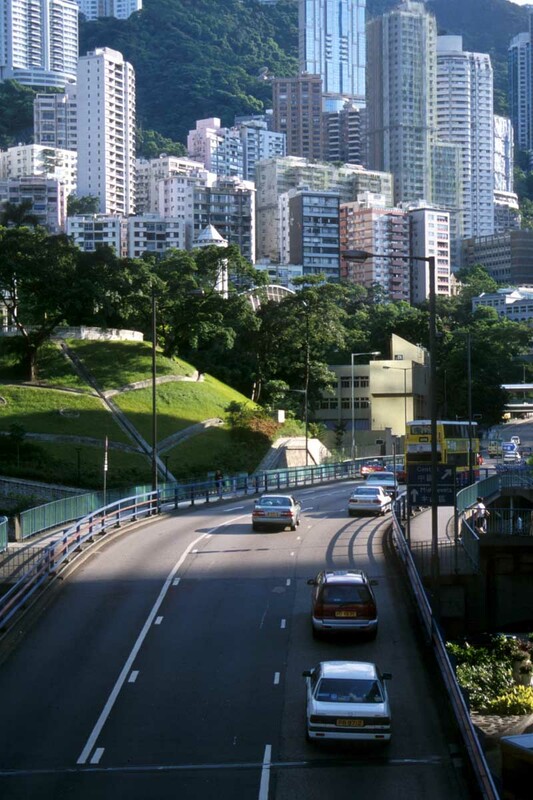 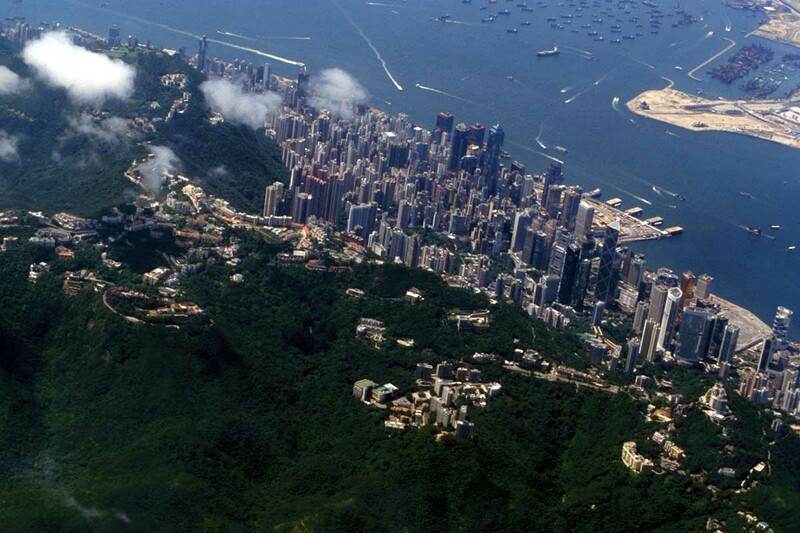 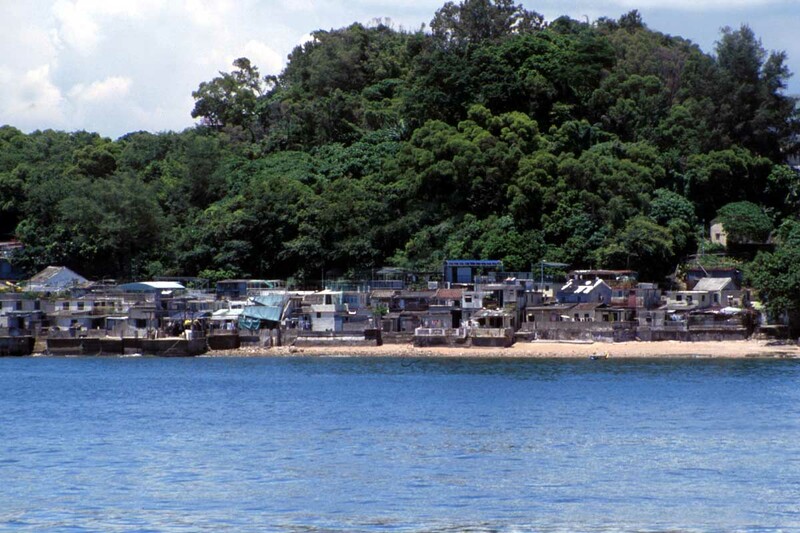 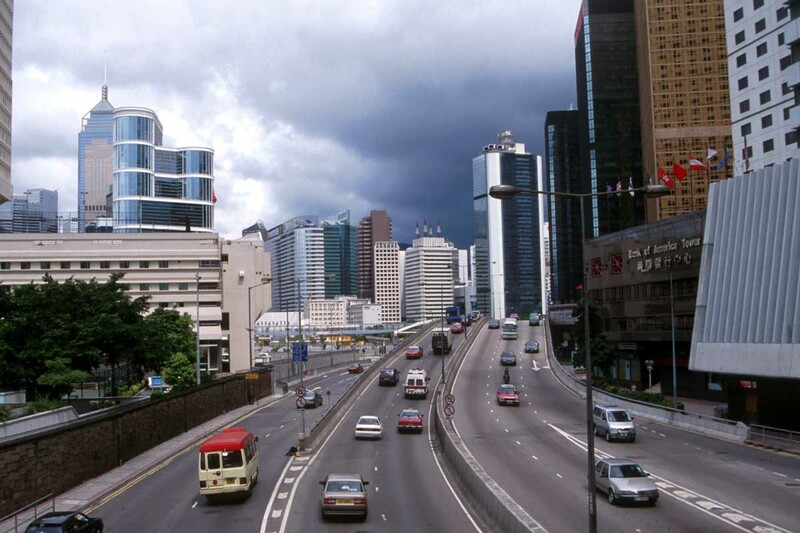 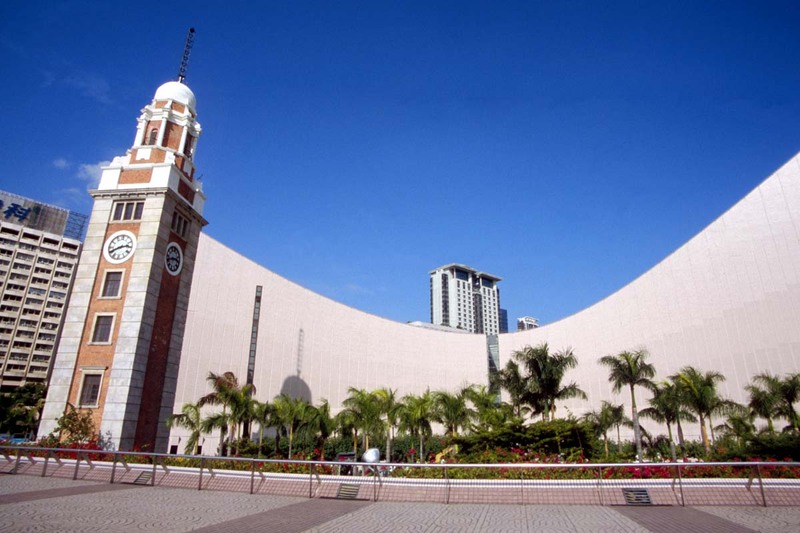 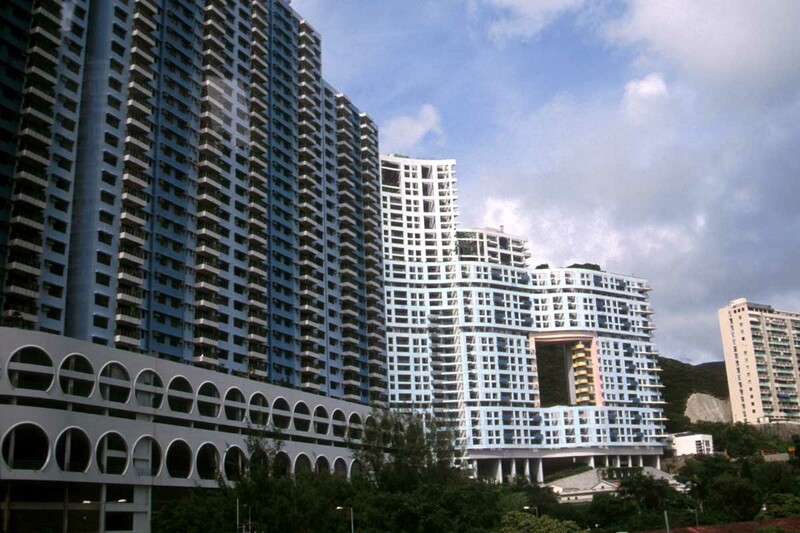 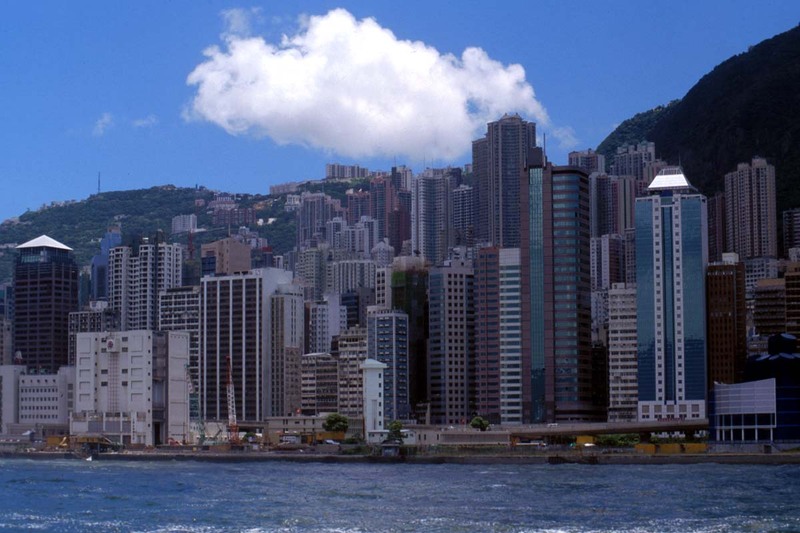 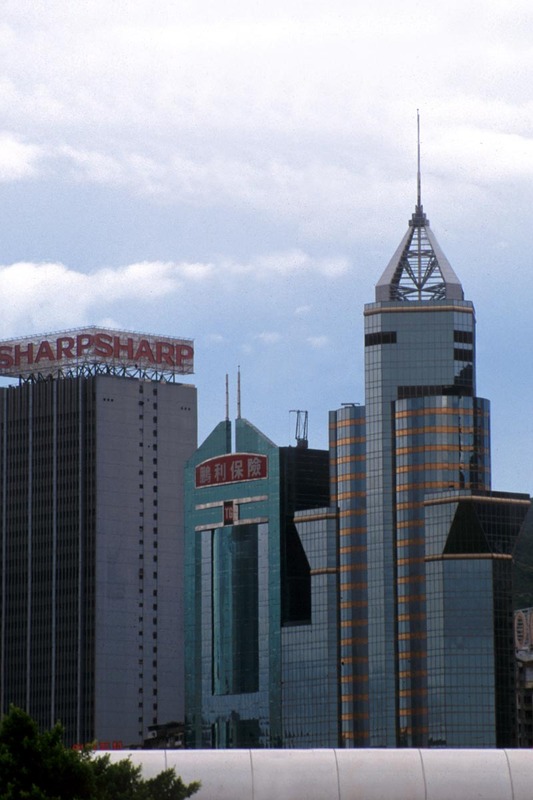 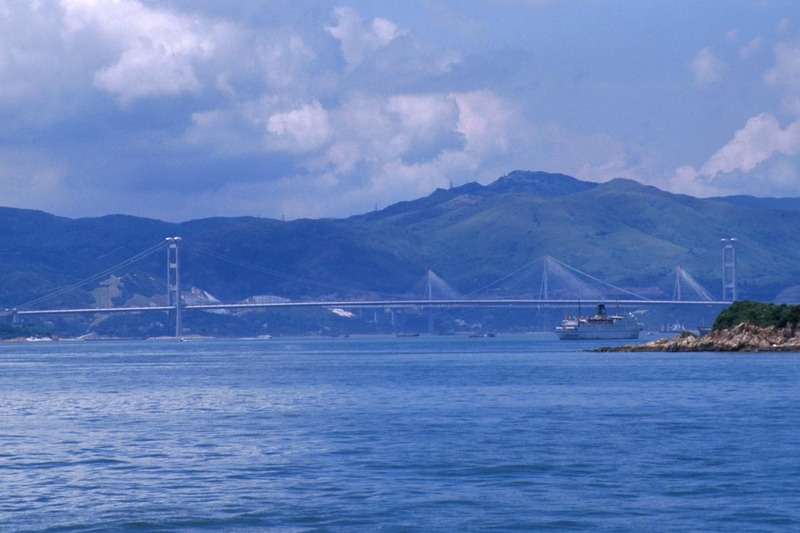 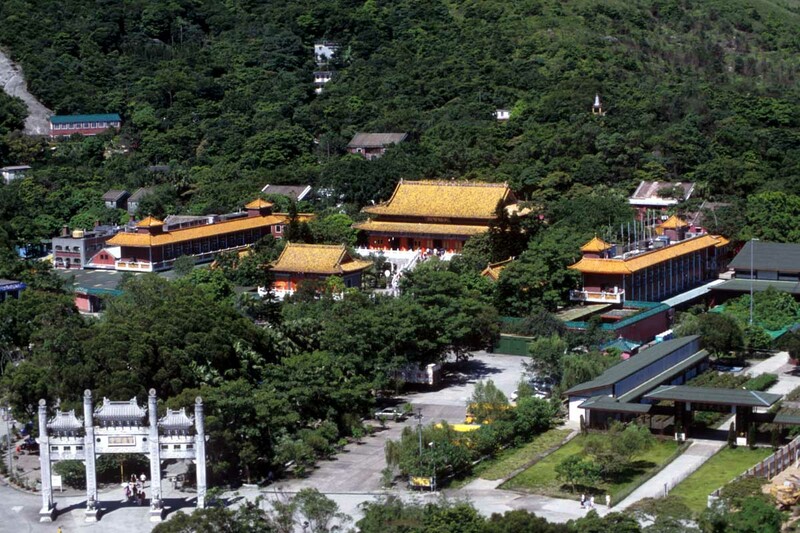 With a total area of 1104 square kilometres, it covers Hong Kong Island, Kowloon Peninsula and the New Territories. 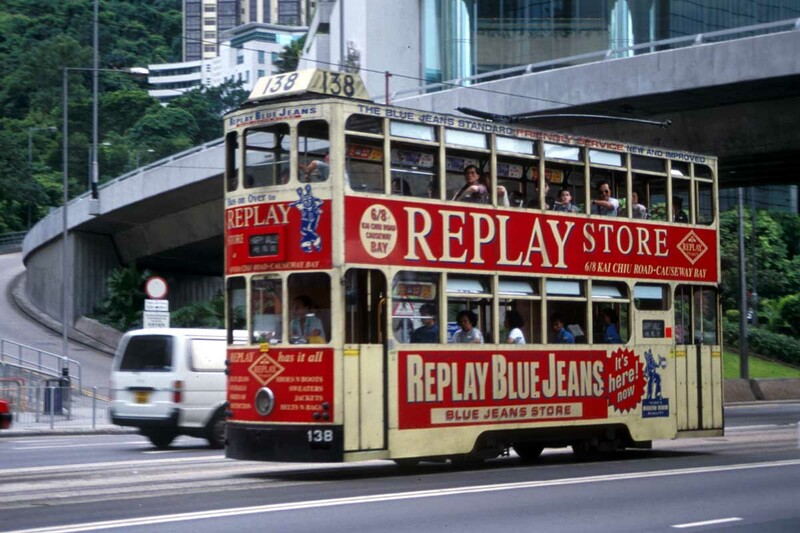 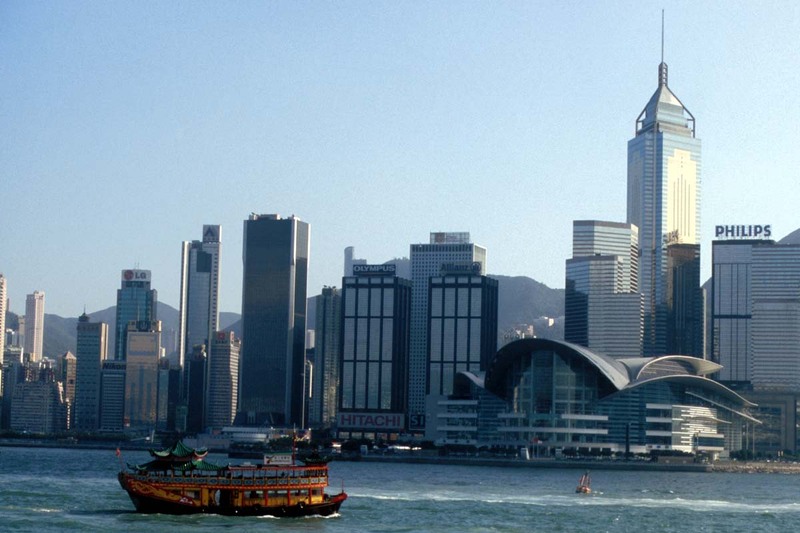 Hong Kong was a British colony from 1842 until its sovereignty was transferred to the People’s Republic of China in 1997. 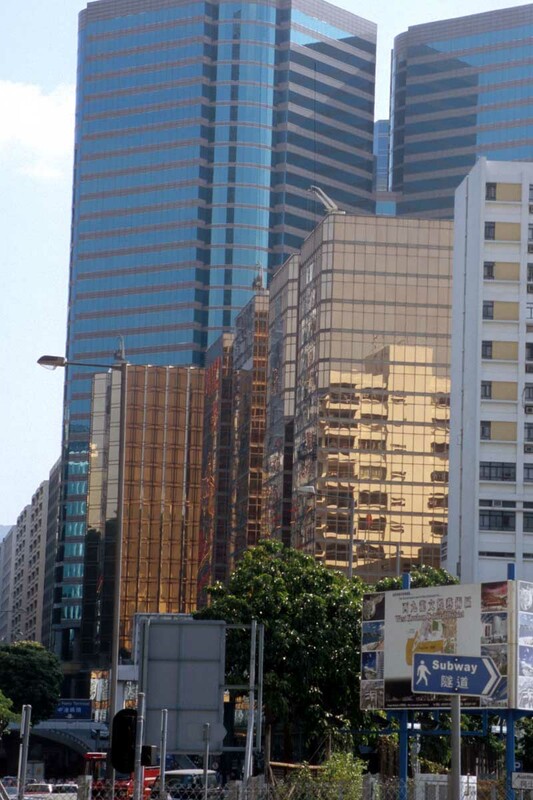 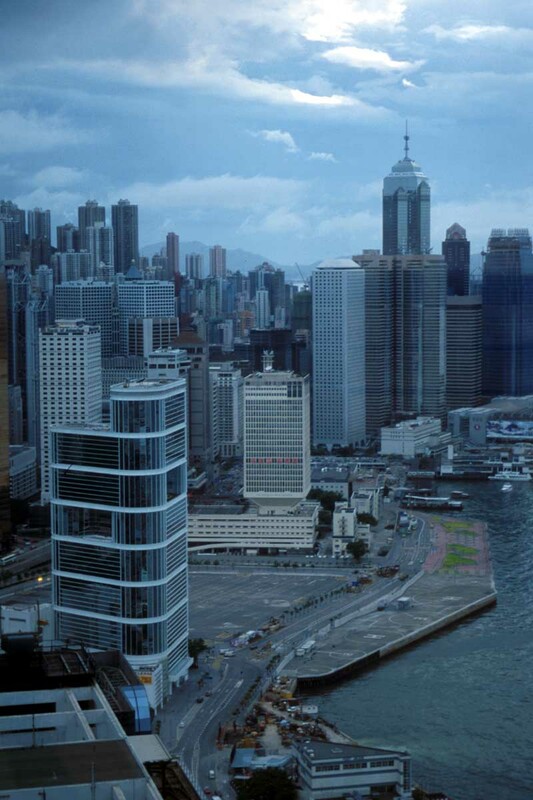 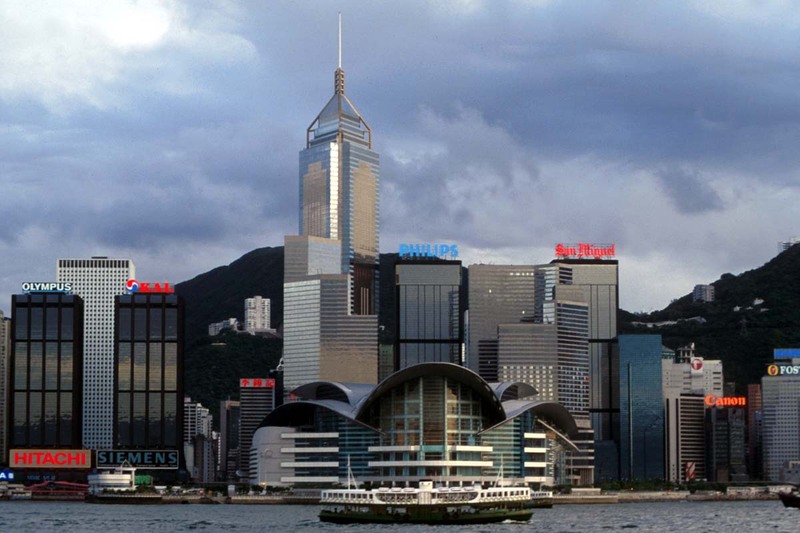 Hong Kong has one of the world's most liberal economies and is of great importance as an international centre of finance and trade as well as a major international and regional aviation hub. 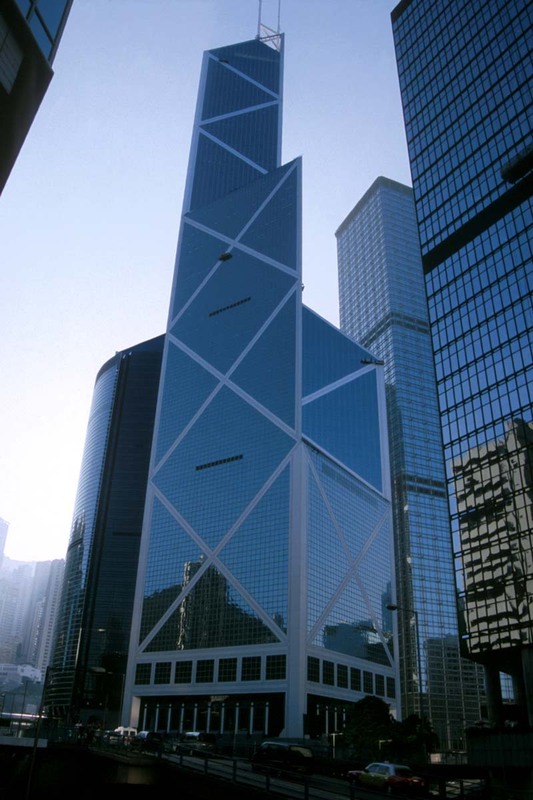 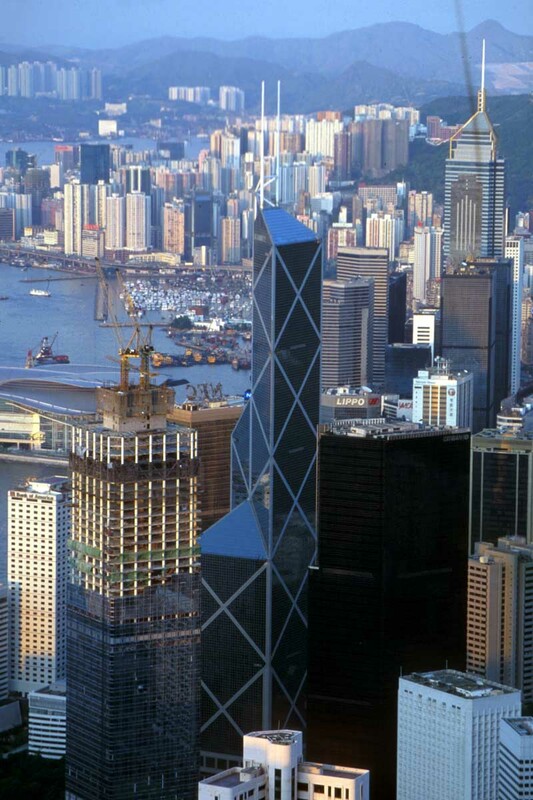 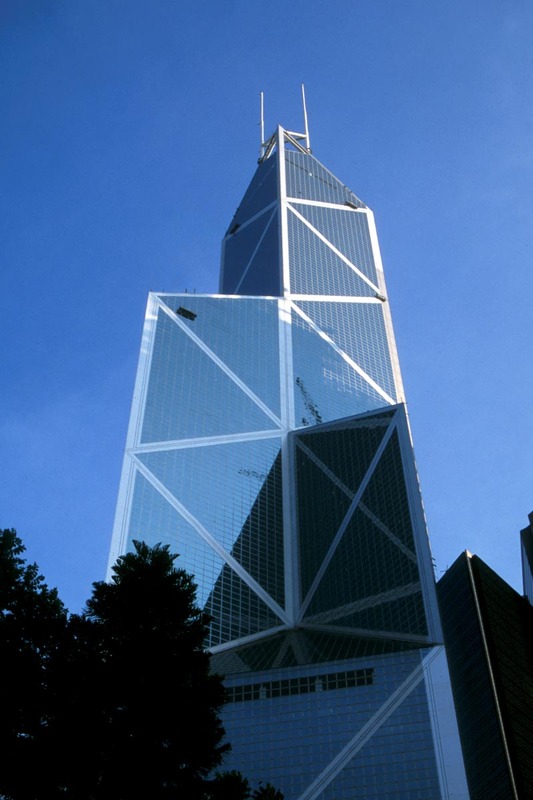 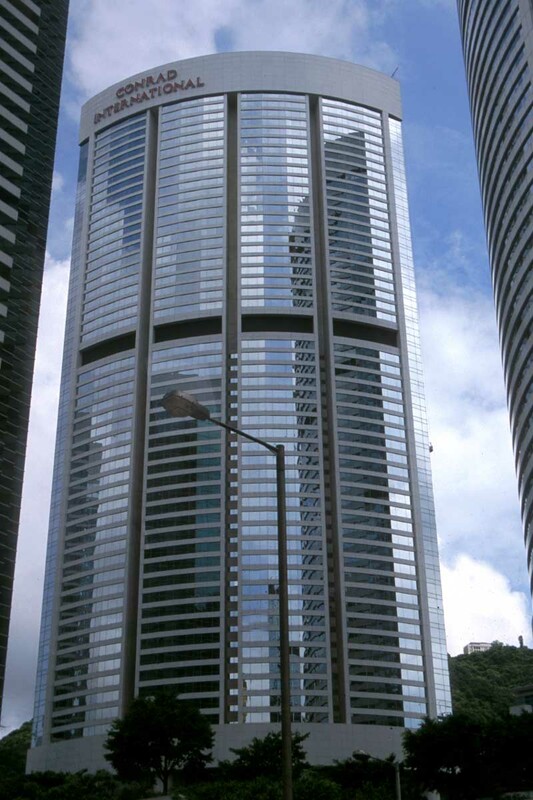 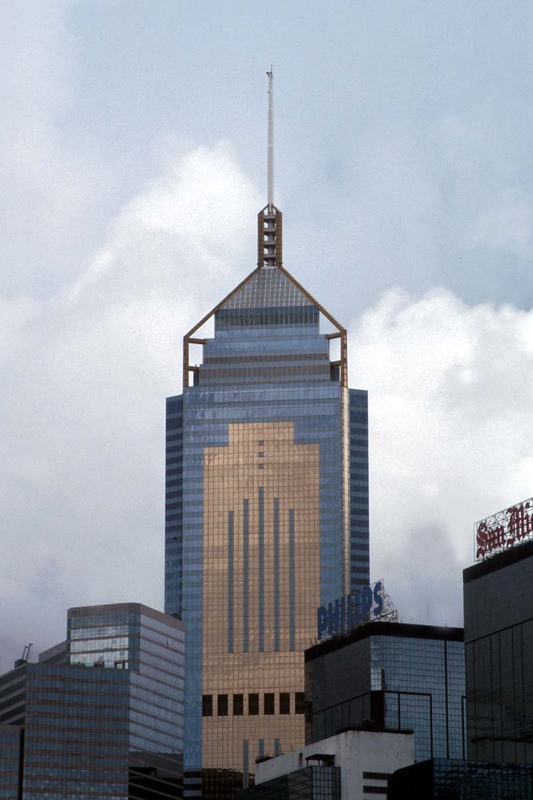 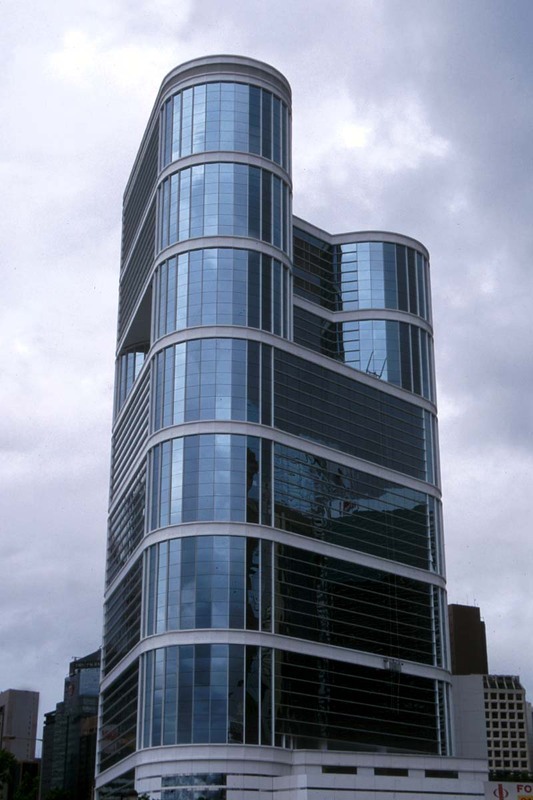 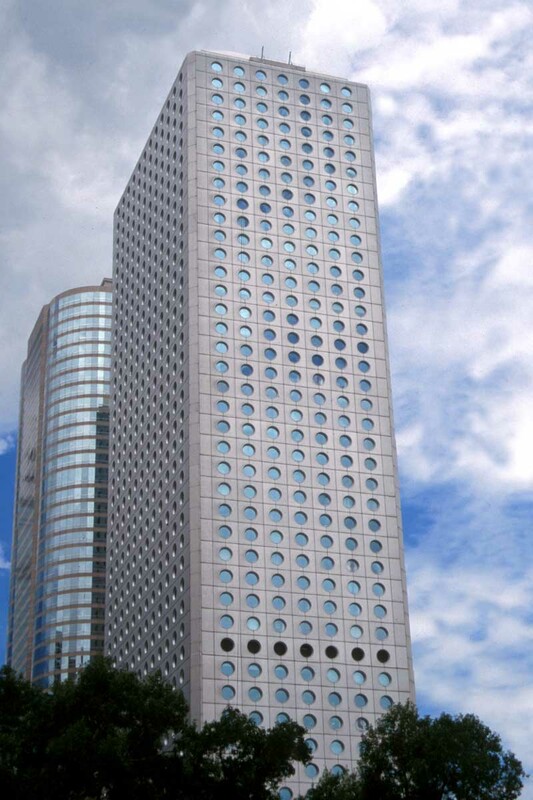 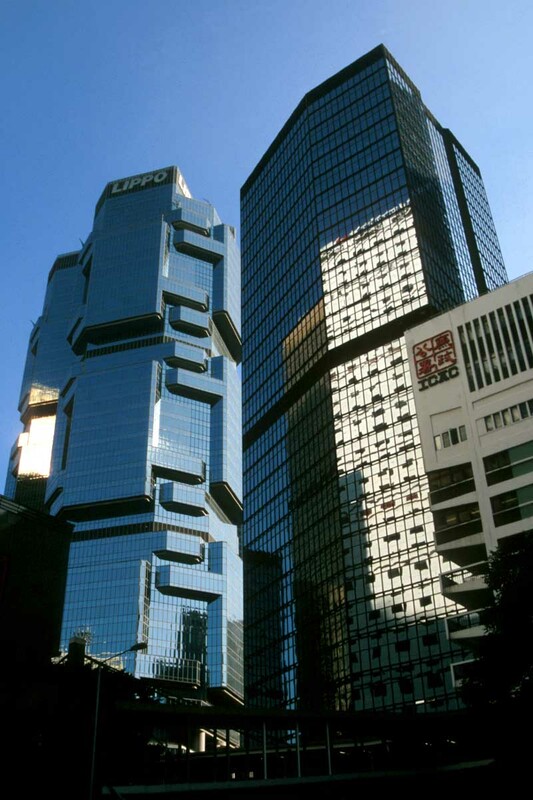 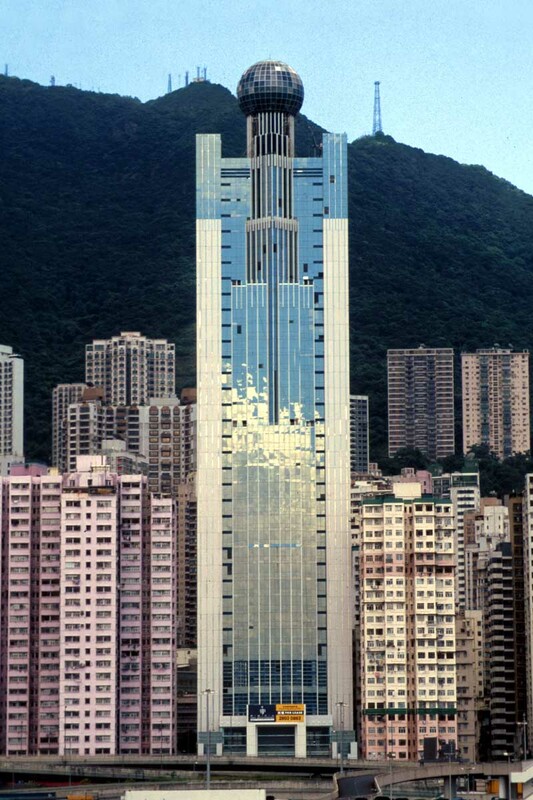 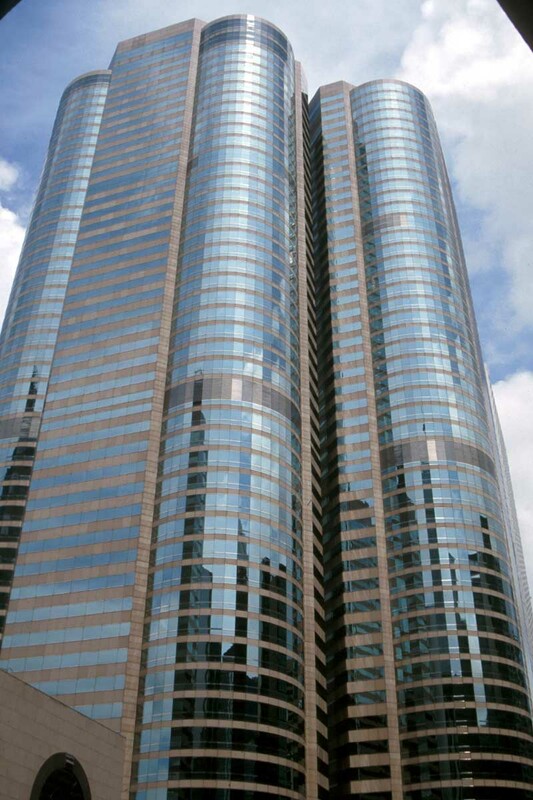 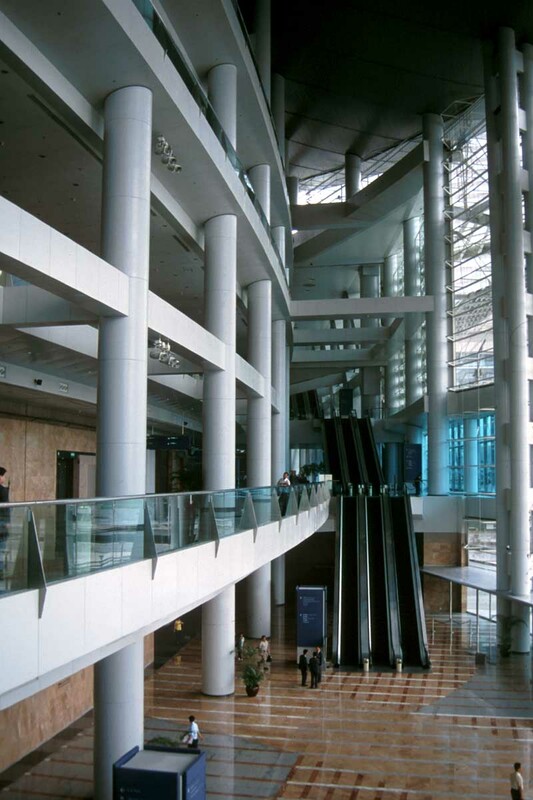 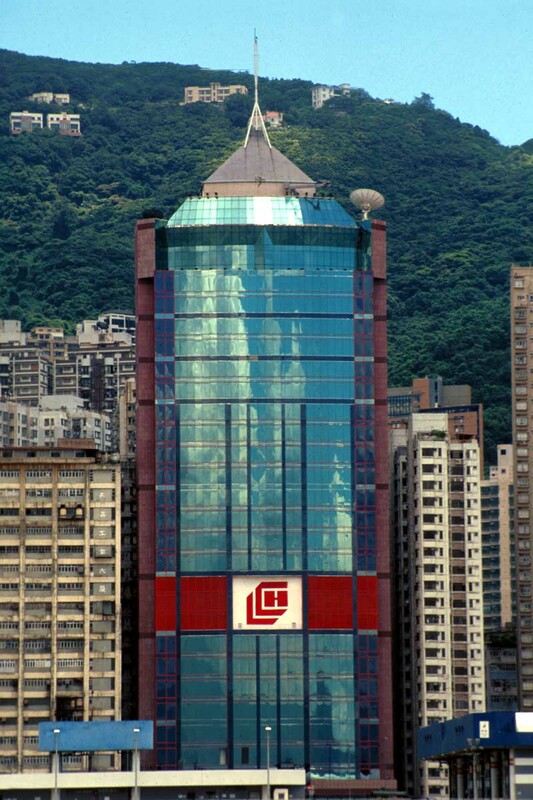 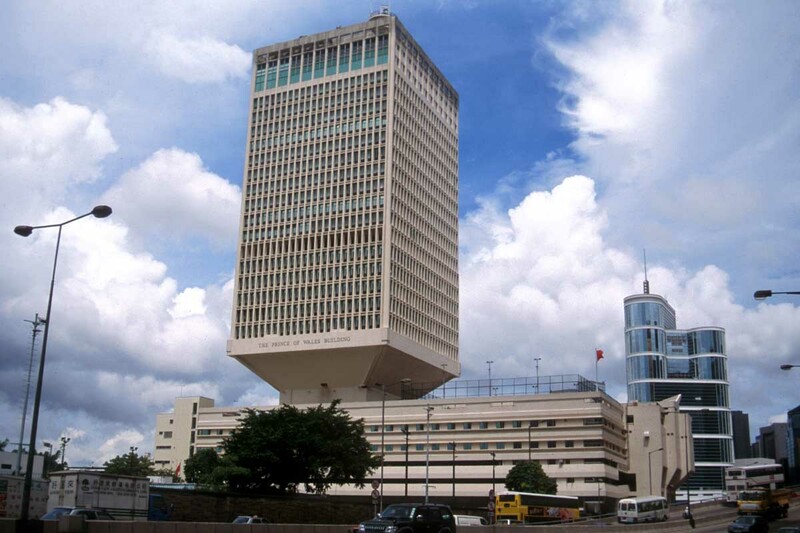 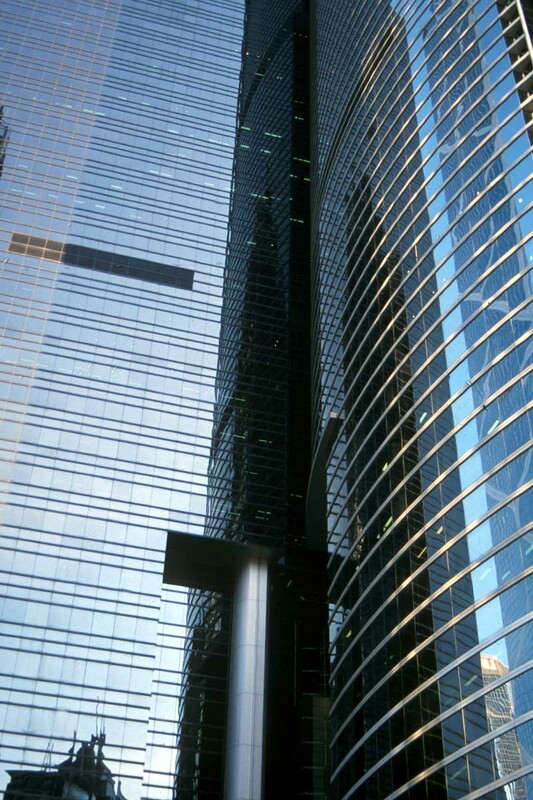 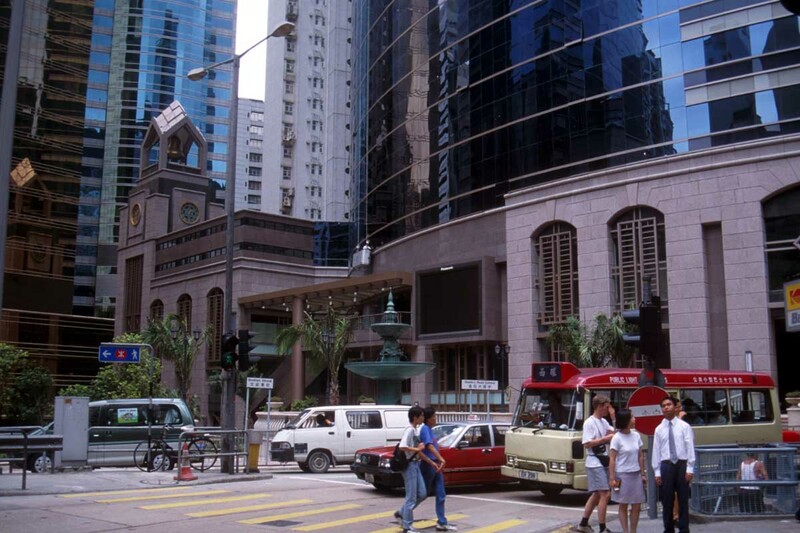 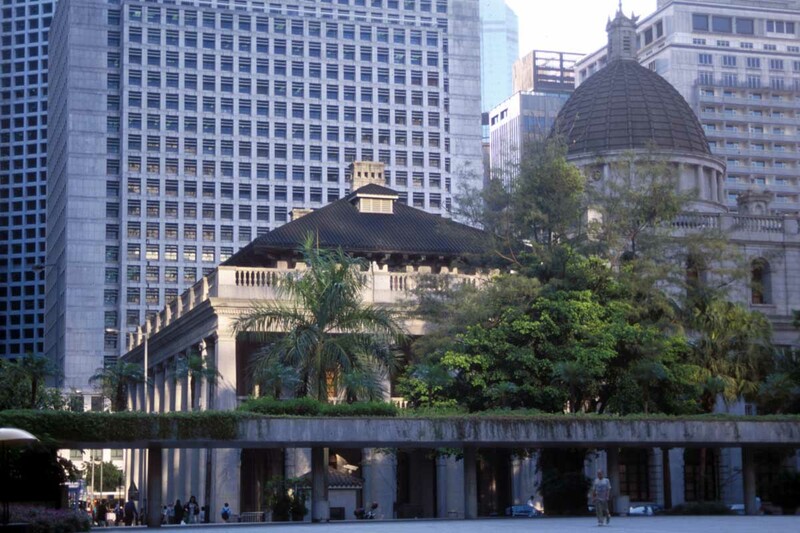 The Hong Kong Stock Exchange is the second largest in Asia after Tokyo; its index is the Hang Seng, which is owned and managed by the Hang Seng Bank, itself owned by the Hong Kong and Shanghai Bank (HSBC). 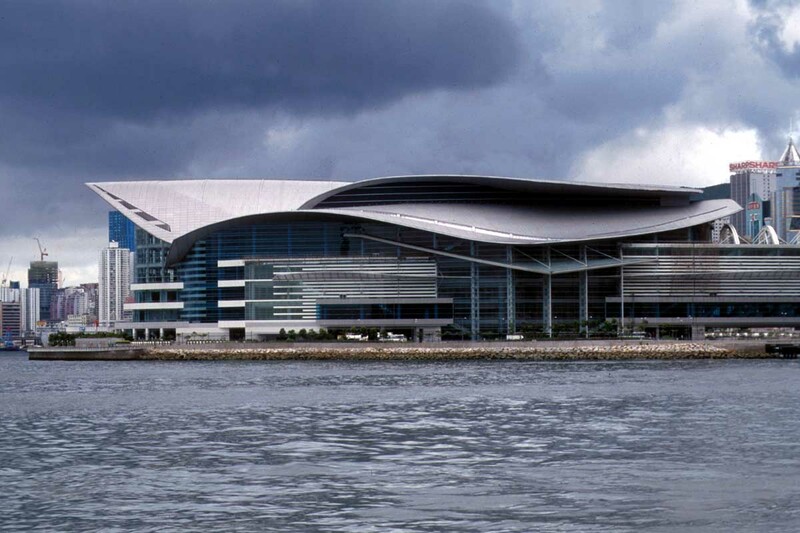 The Hong Kong International Airport, built on reclaimed land on the island of Chek Lap Kok, is one of the busiest in the world, and is served by all leading international airlines. 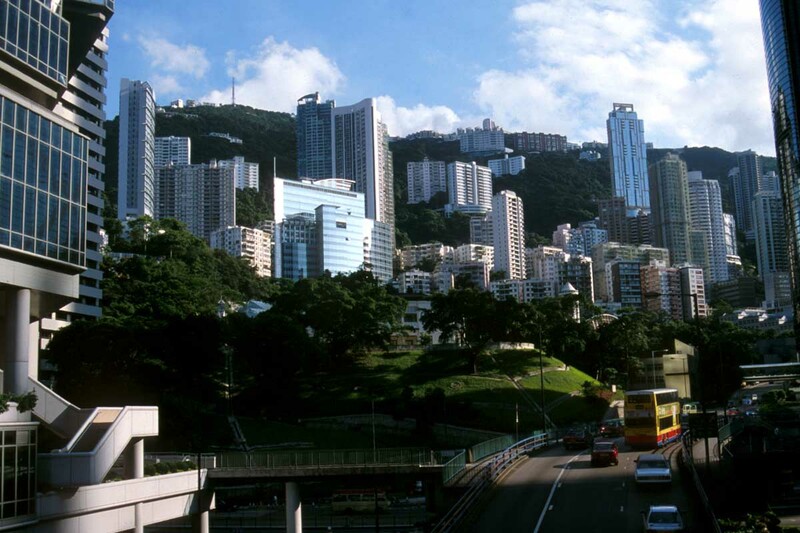 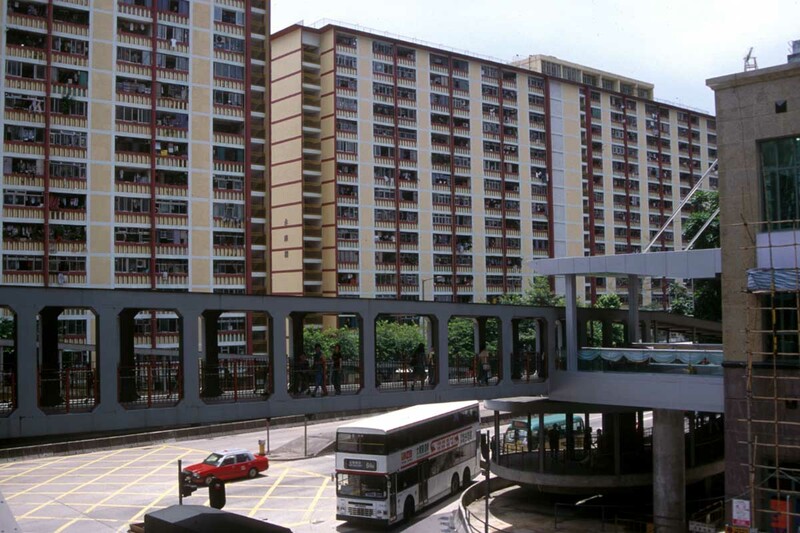 Travel to the city is made easy by the Airport Express, a modern mass transit railway link stopping at Tsing Yi, and Kowloon, and reaching the city itself in only 24 minutes. 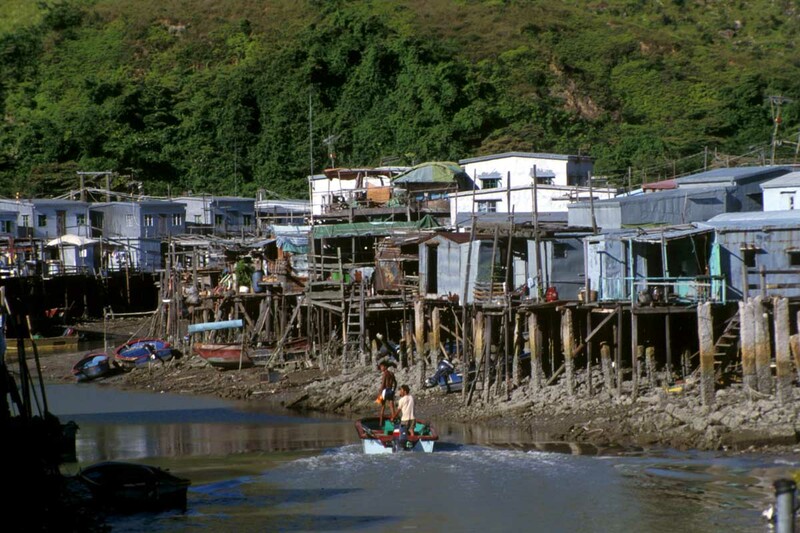 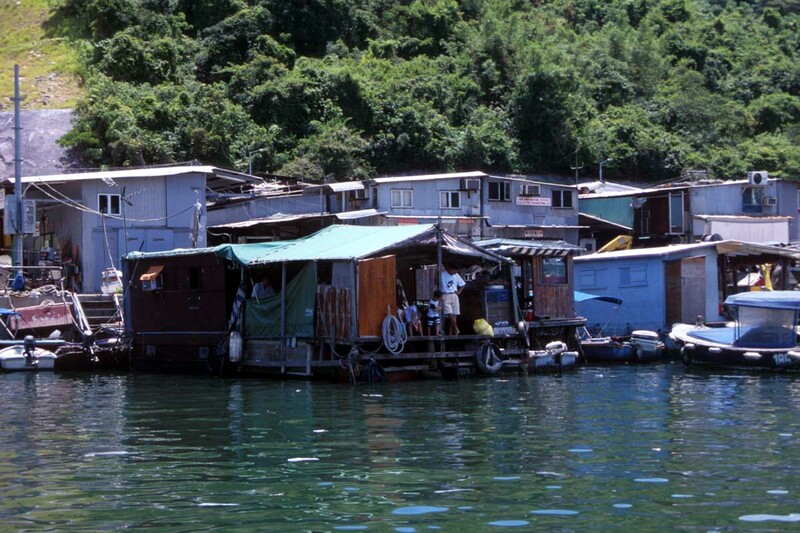 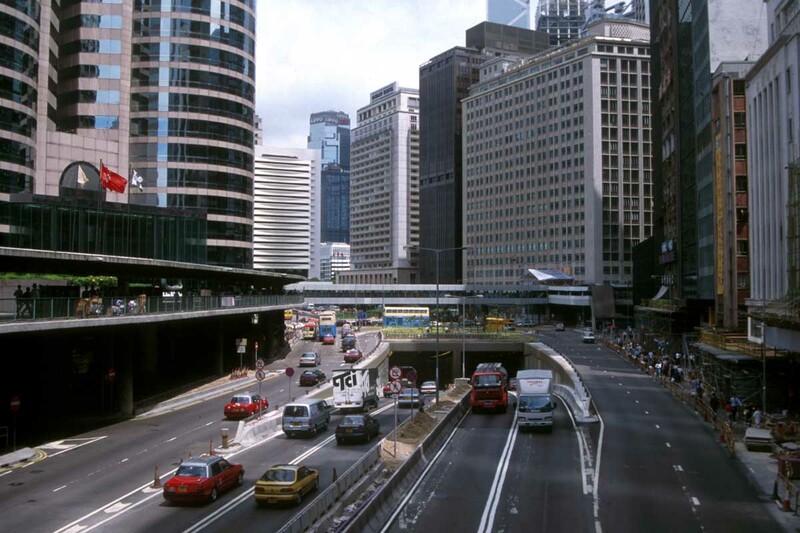 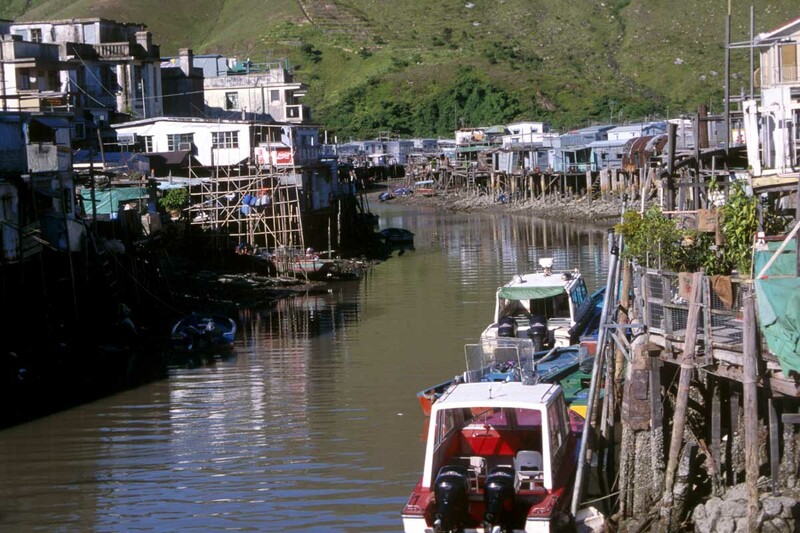 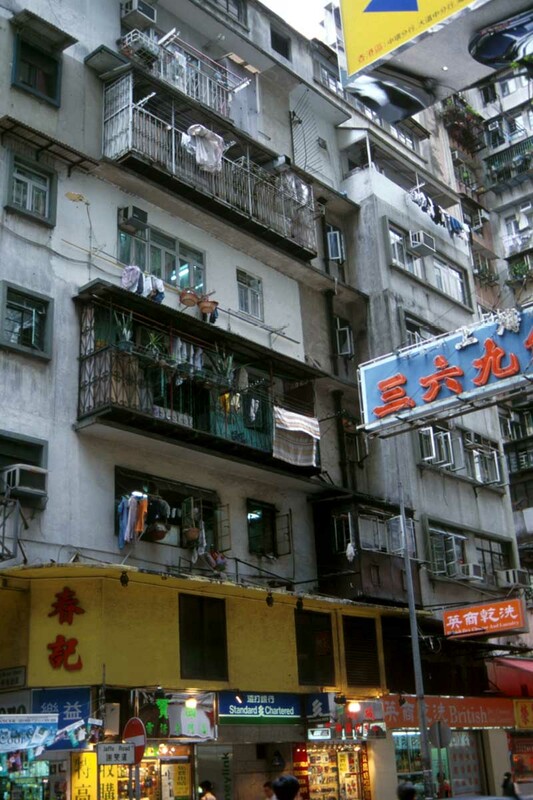 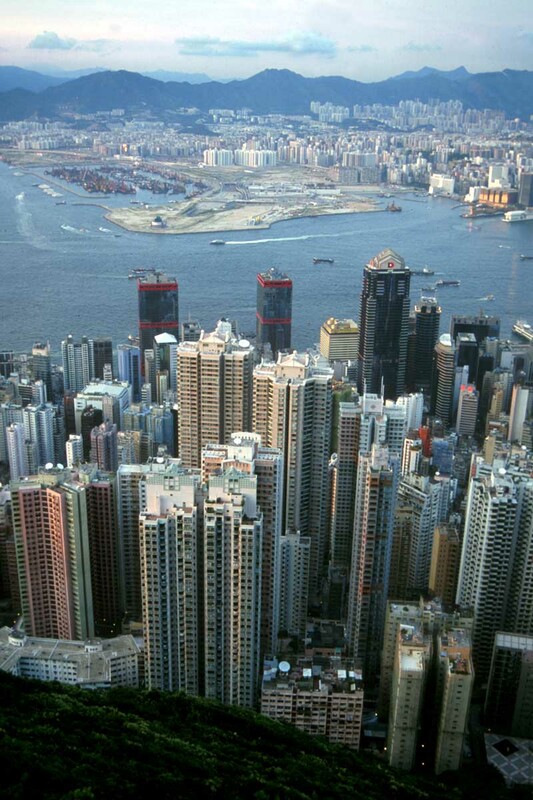 Hong Kong's population numbered around 7.1 million in 2010, having risen from about 6.7 million in 2000. 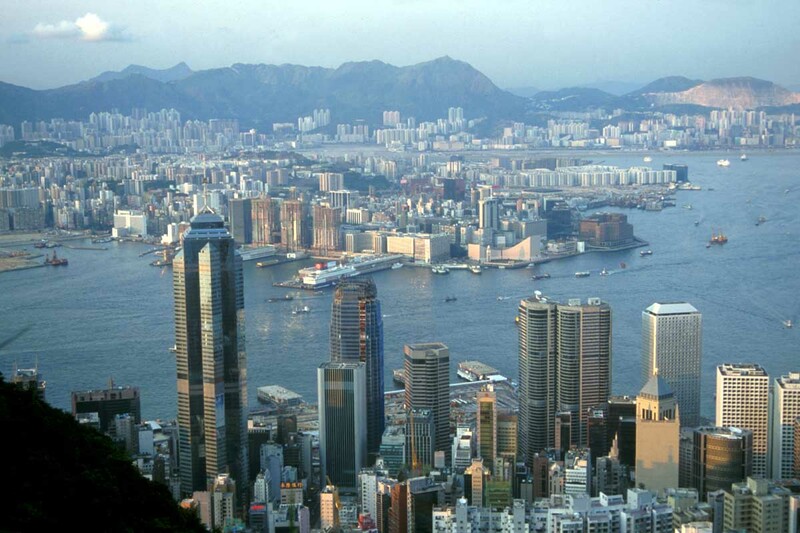 With a land area of only 1,104 sq km (426 sq miles), it is the 4th most densely populated country in the world after Macau, Monaco and Singapore. 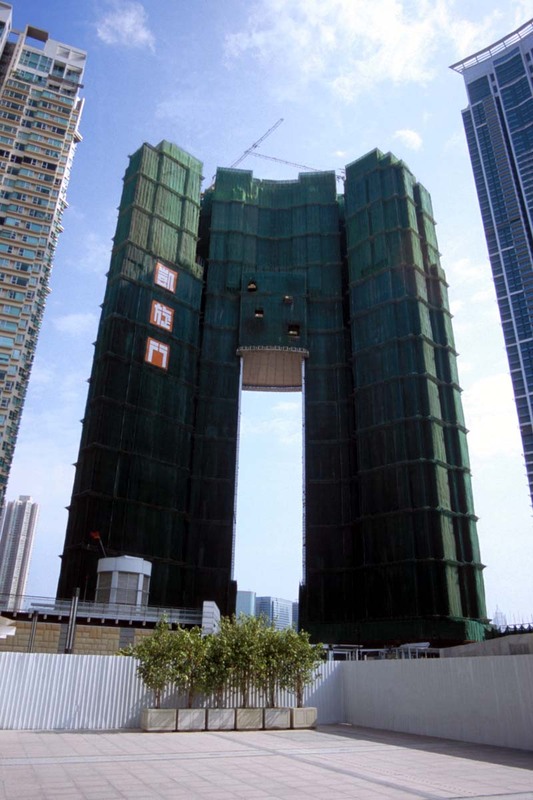 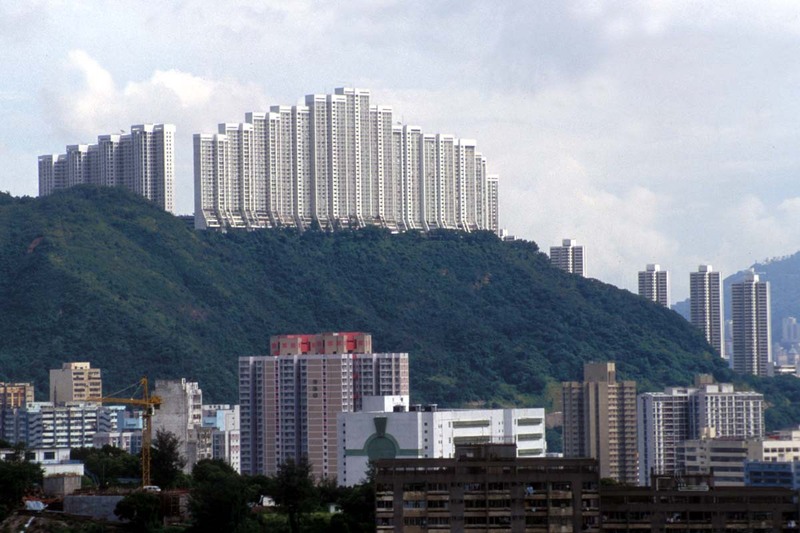 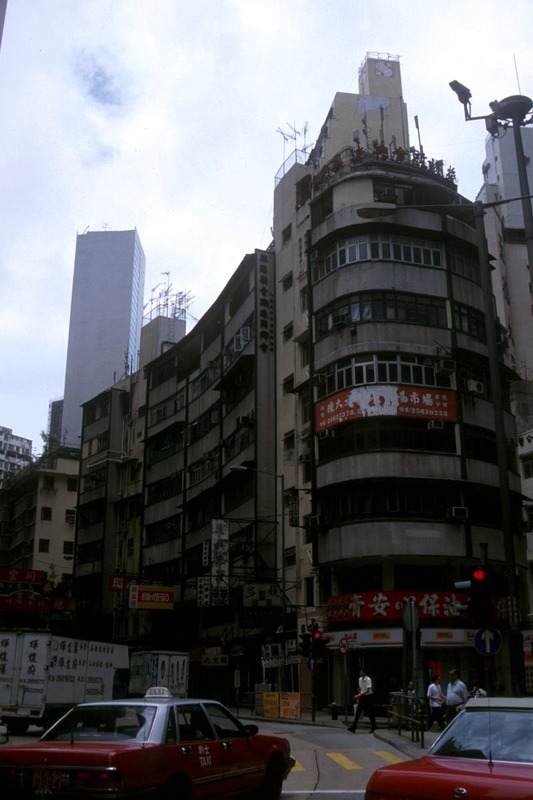 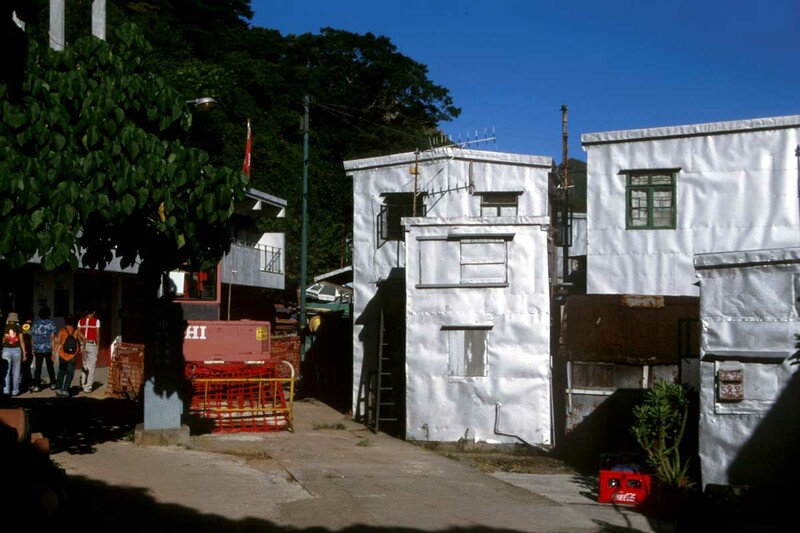 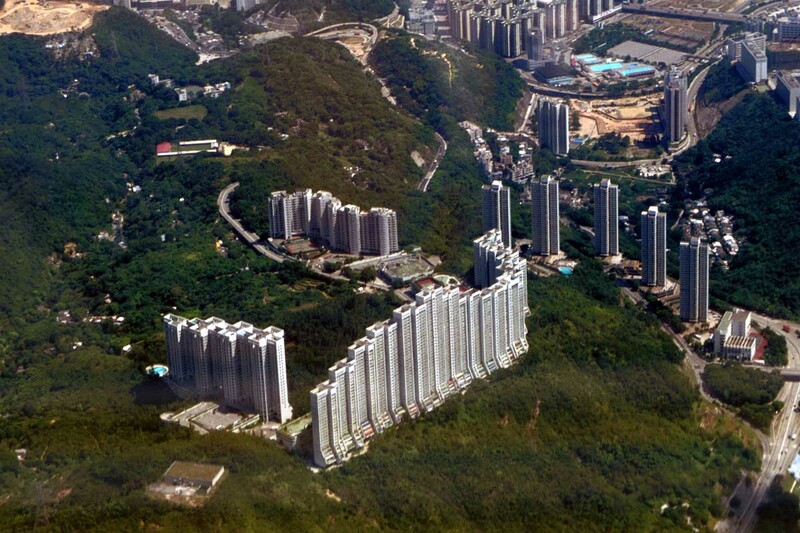 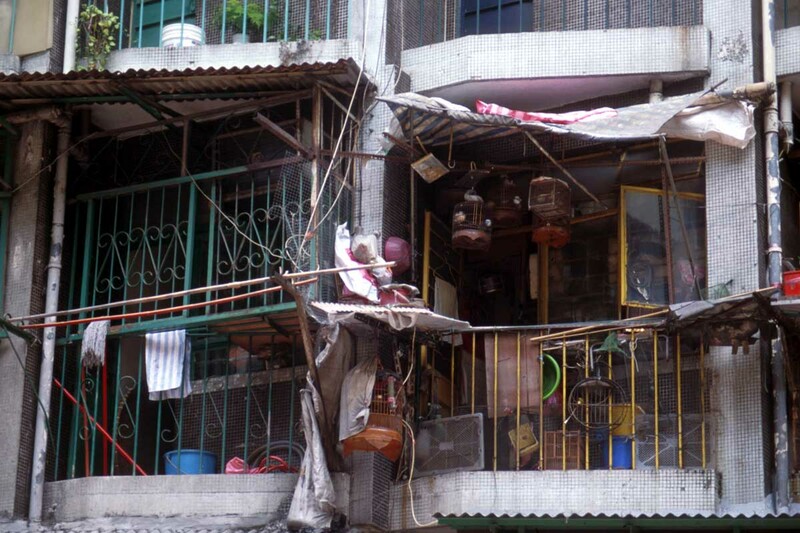 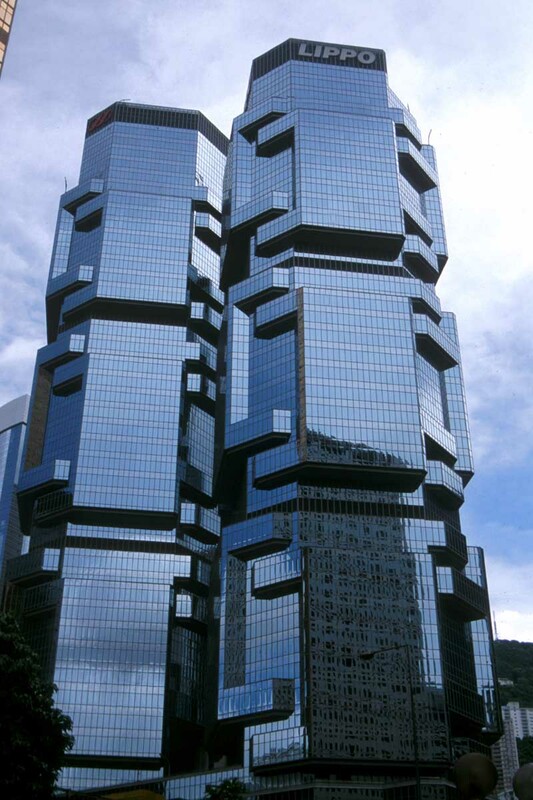 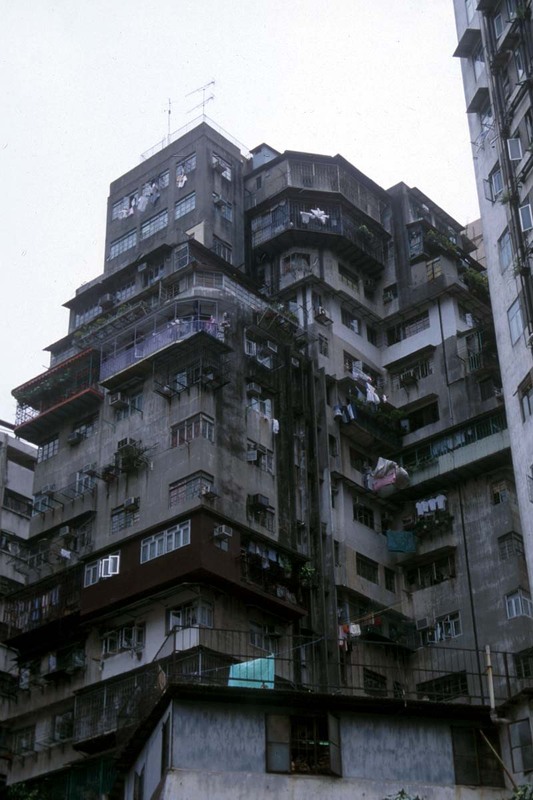 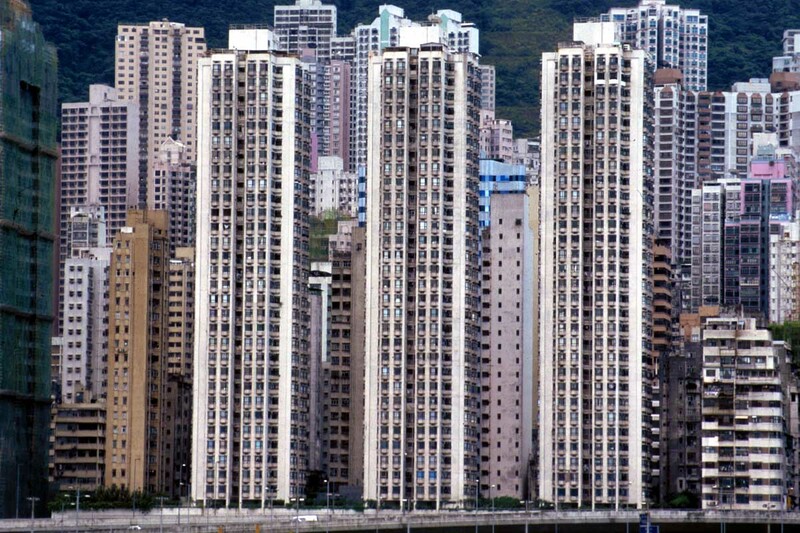 Hong Kong has partly solved the population density problem by building upwards. 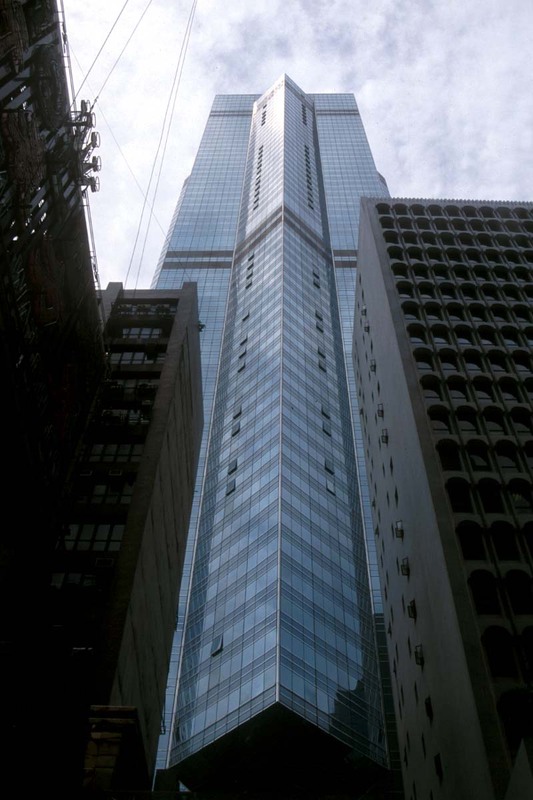 The city is number one in the world for skyscrapers, with nearly 200 over 150m (492 feet) high; New York has 67 fewer at that height. 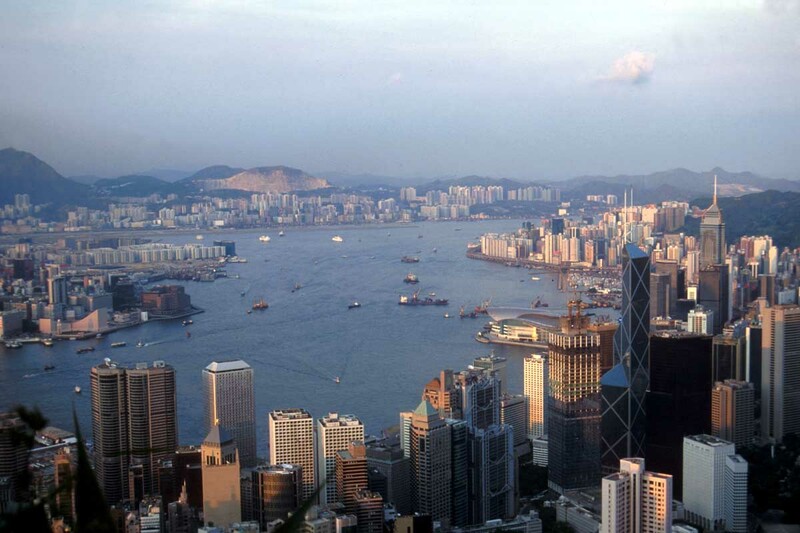 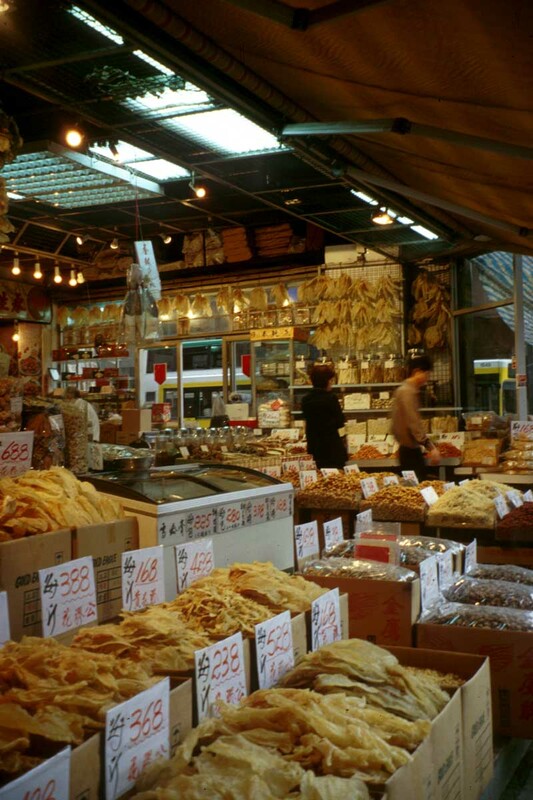 Around 96% of Hong Kong's population is Chinese, the majority of whom are Cantonese. 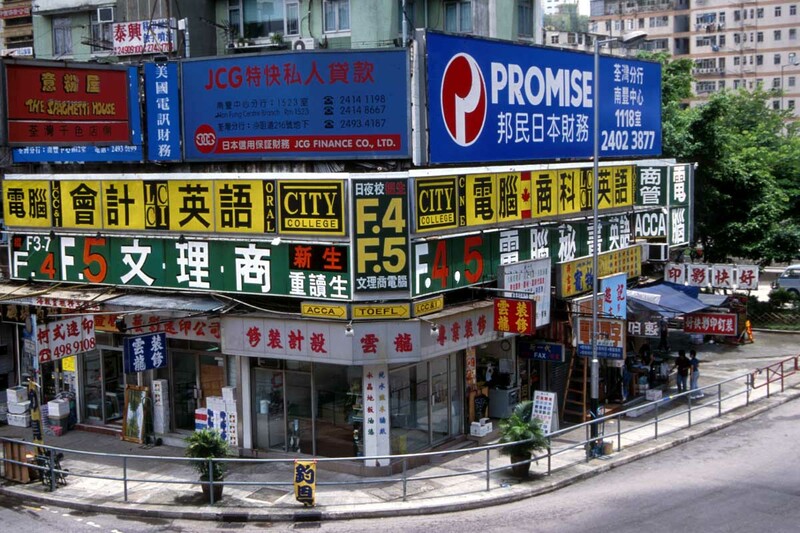 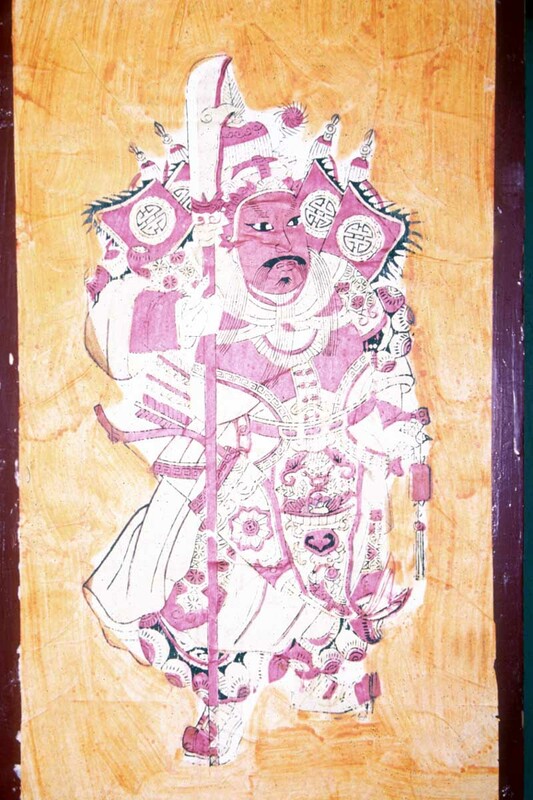 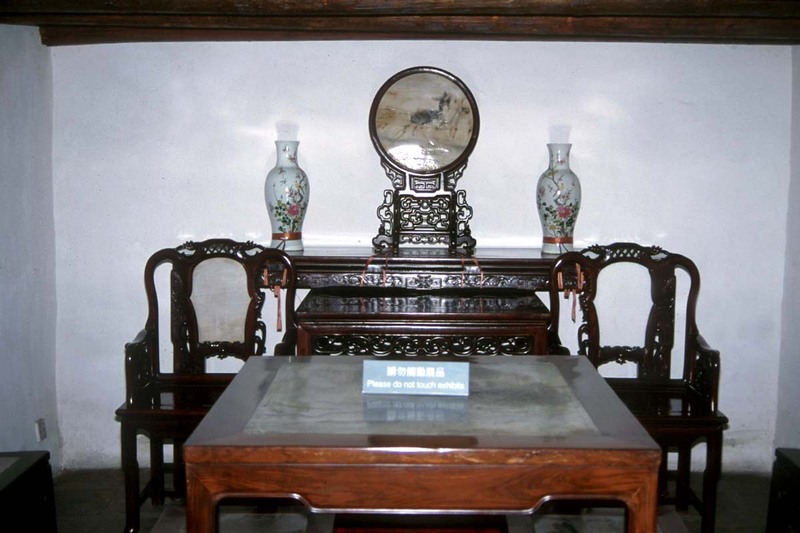 The official languages are Chinese and English. 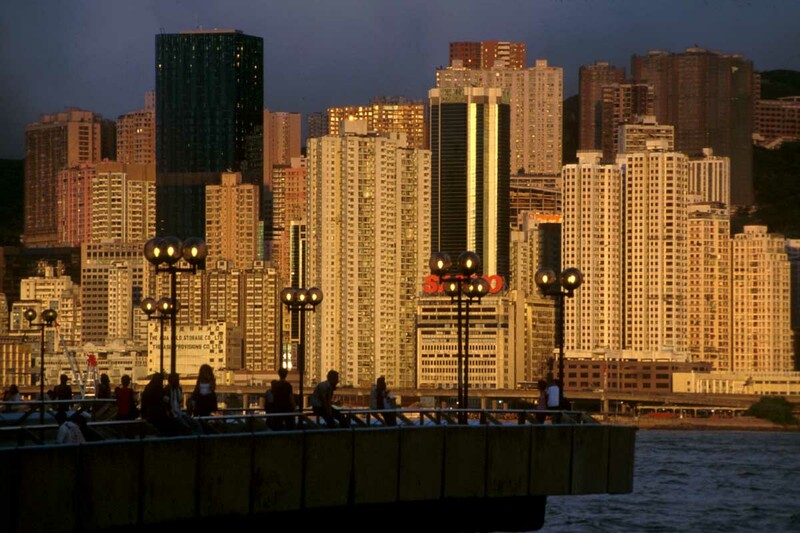 Hong Kong offers photographers a wealth of spectacular scenes and its night-time cityscapes are surely second to none. 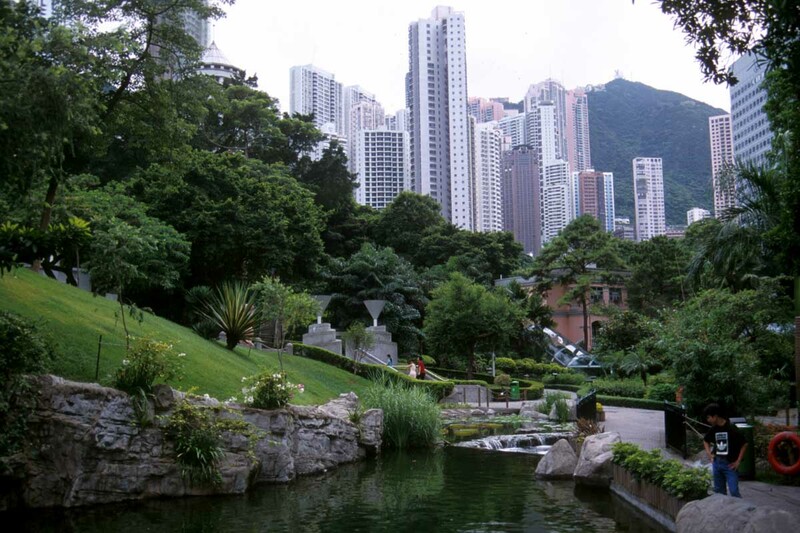 One of Hong Kong’s many attractions includes The Peak, which offers fantastic views over the city, harbour and to the mountains. 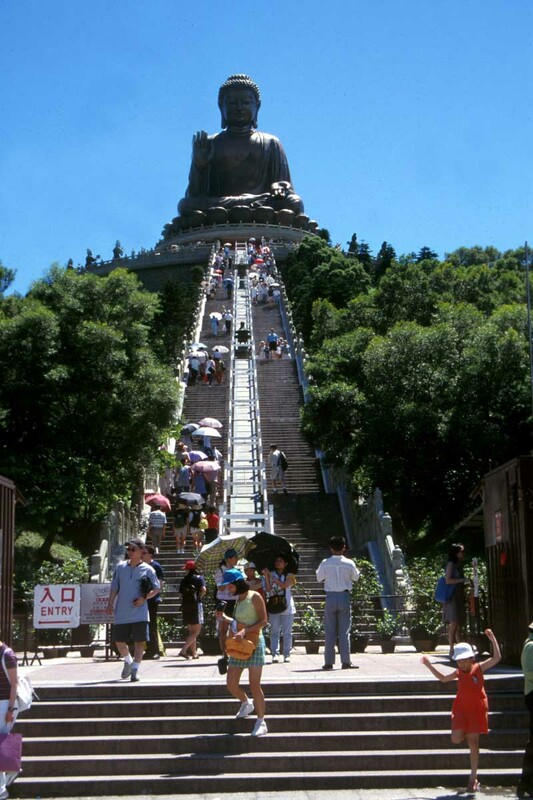 The best way to reach the top is by the 120 year old funicular railway called the Peak Tram. 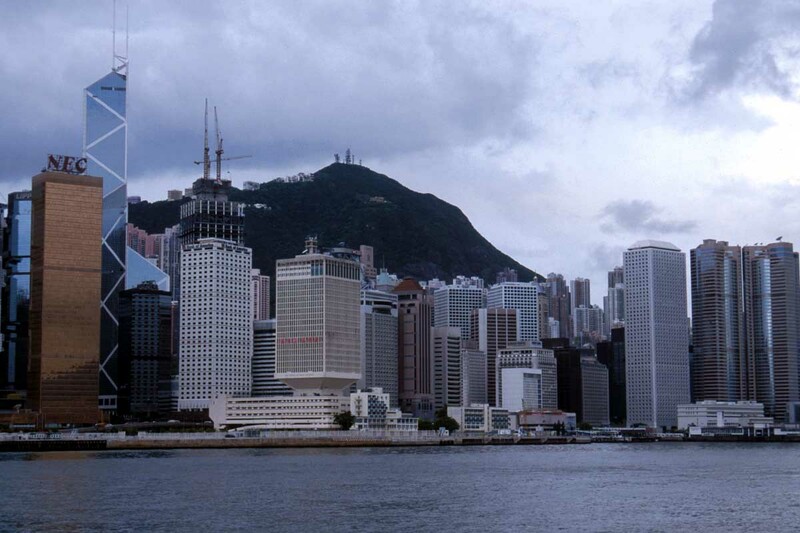 However be prepared not to see as much as you had hoped, as Hong Kong suffers frequently from air pollution. 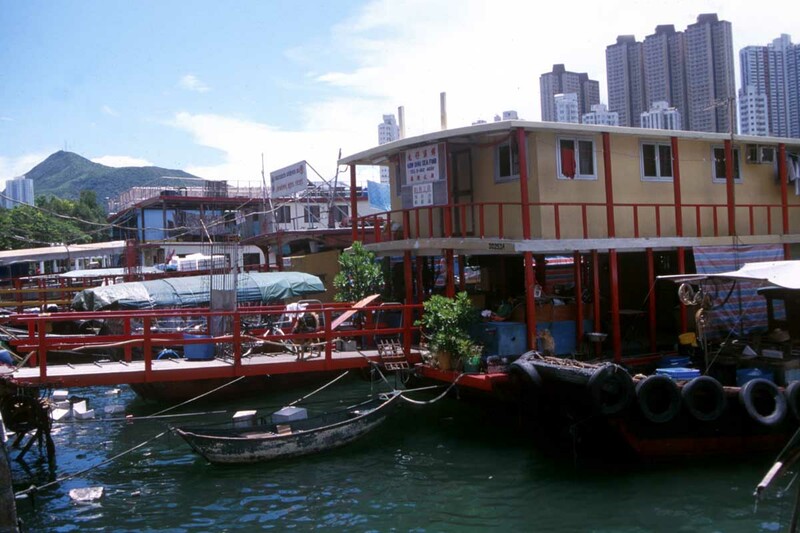 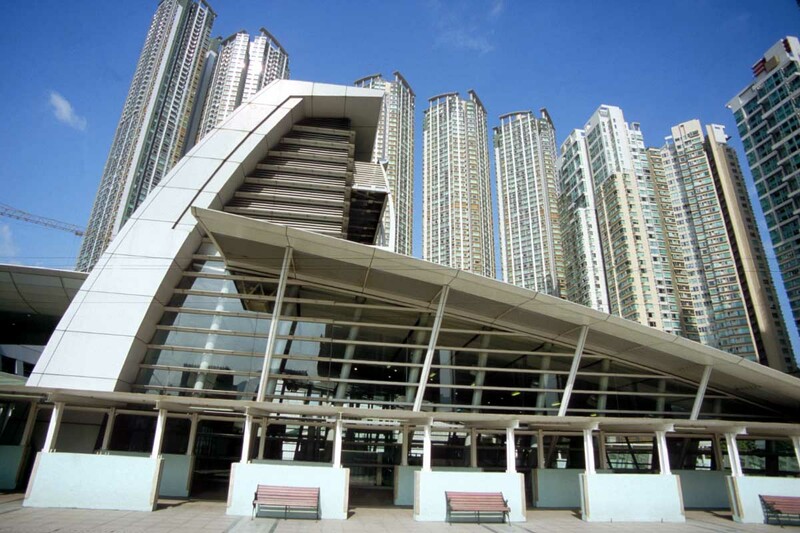 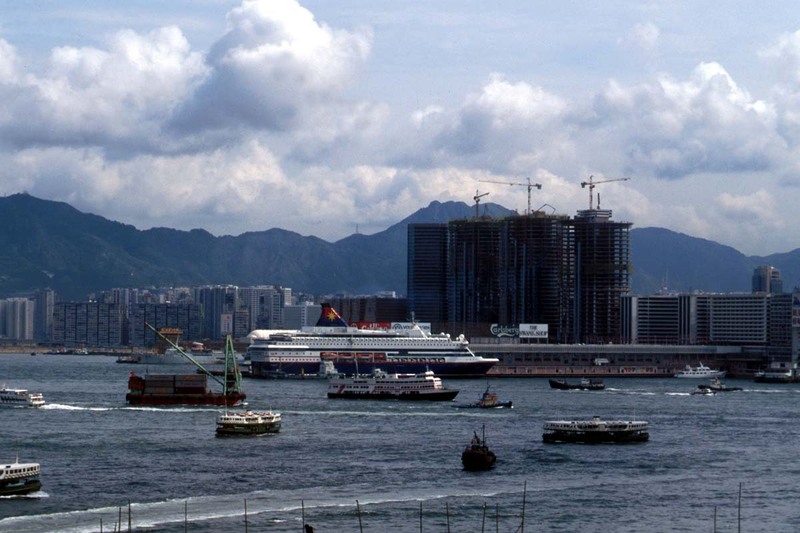 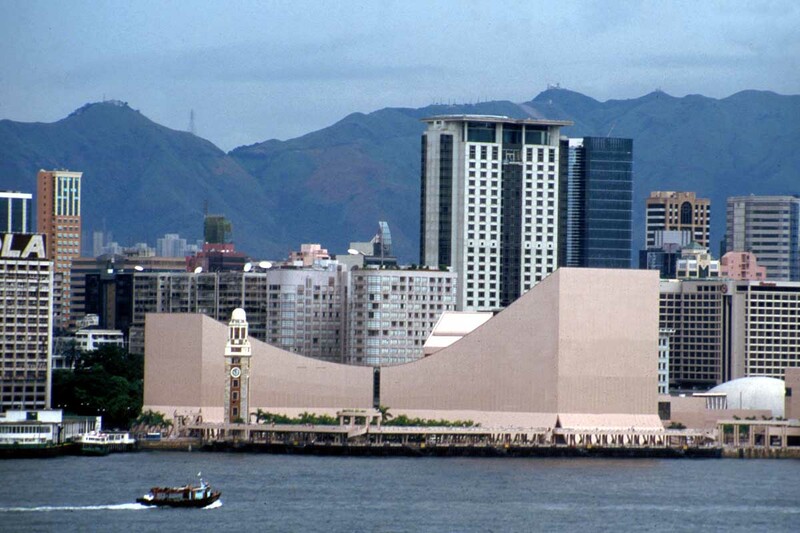 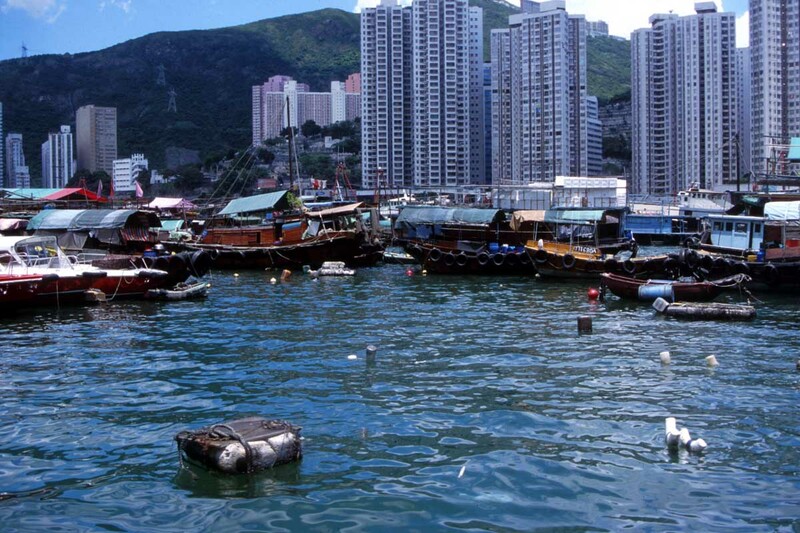 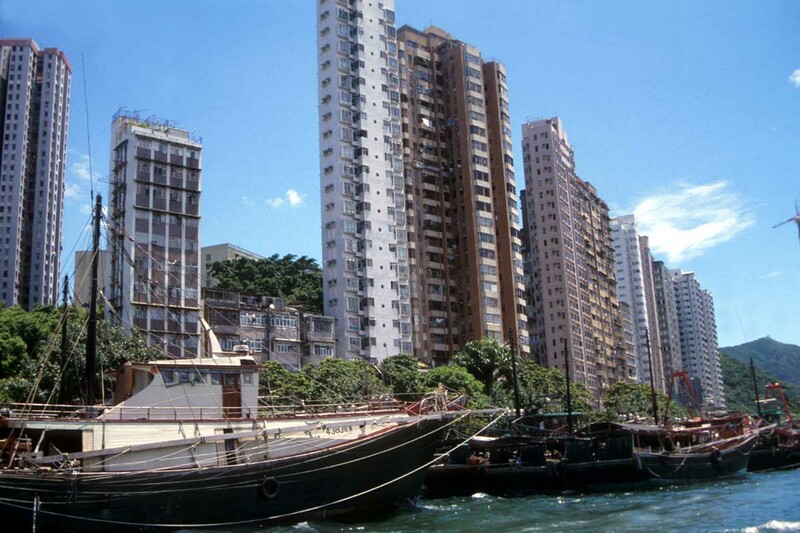 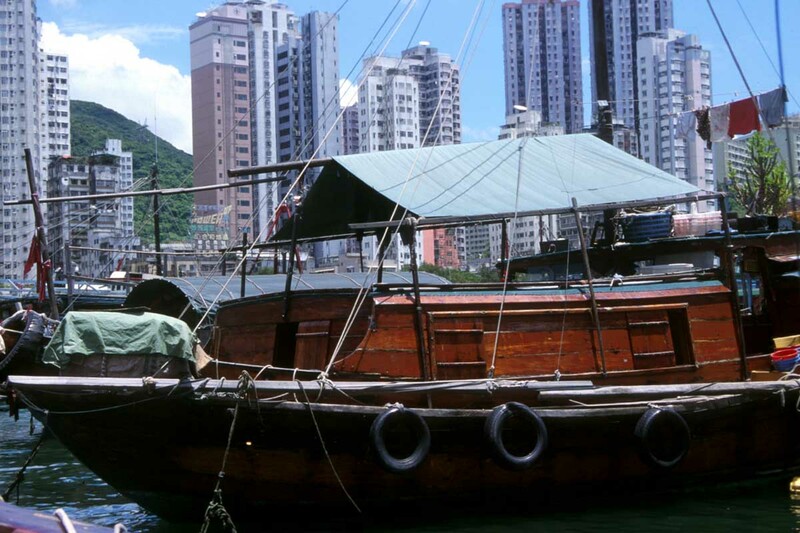 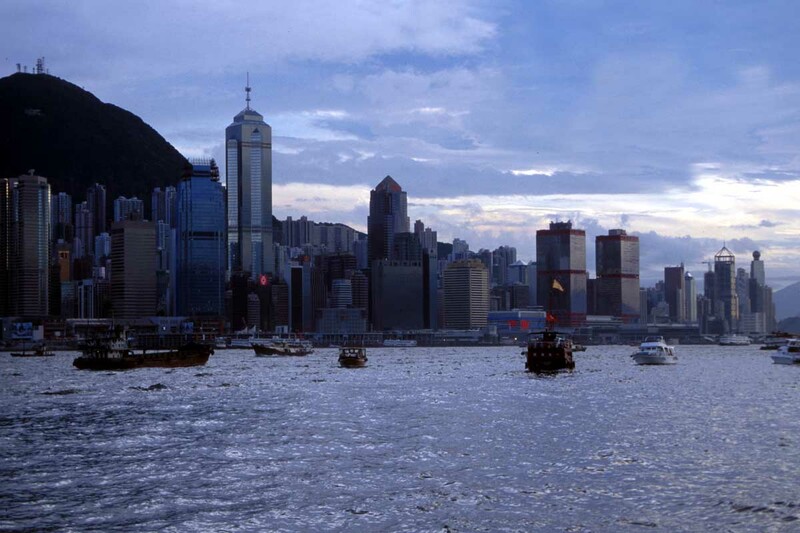 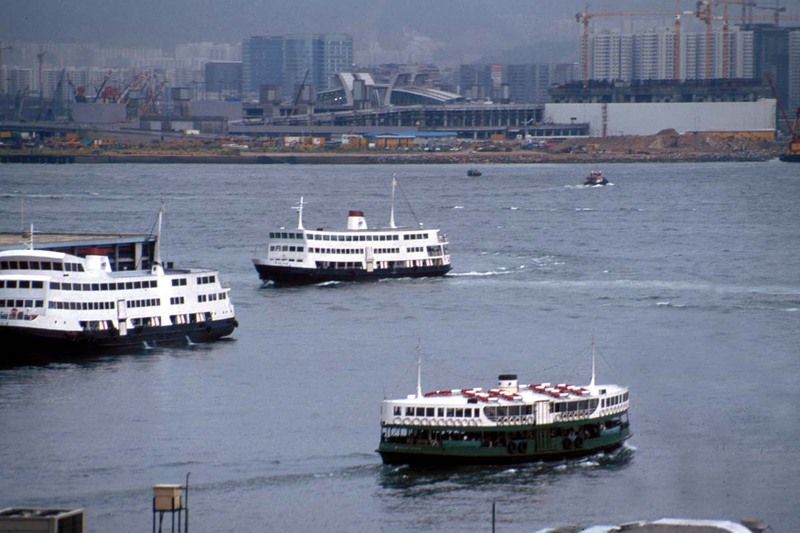 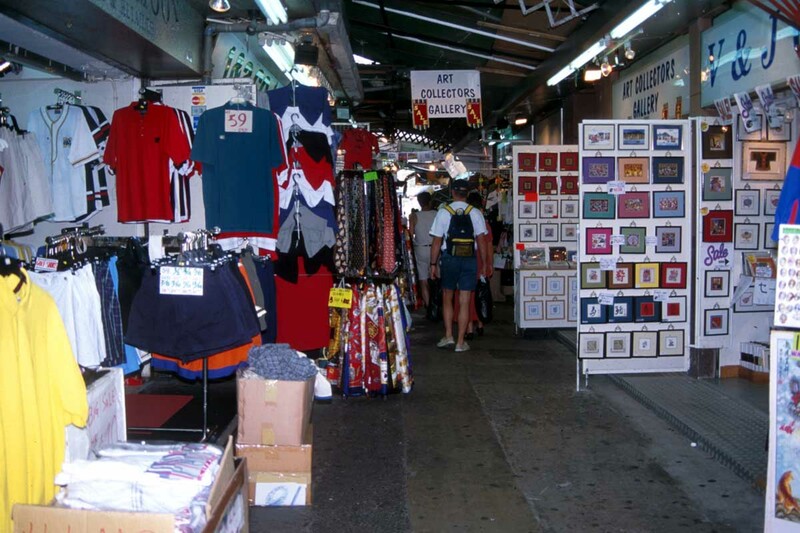 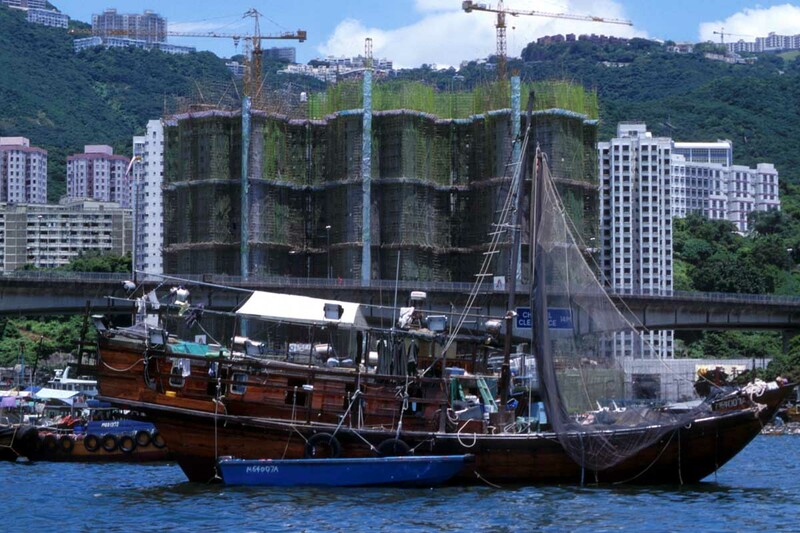 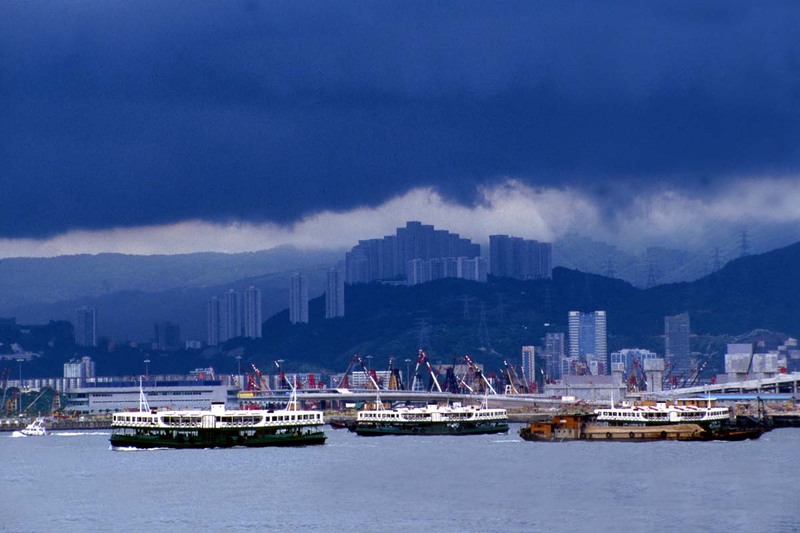 Another key attraction is the Victoria Harbour, which you can explore from the Star Ferry which goes to Kowloon. 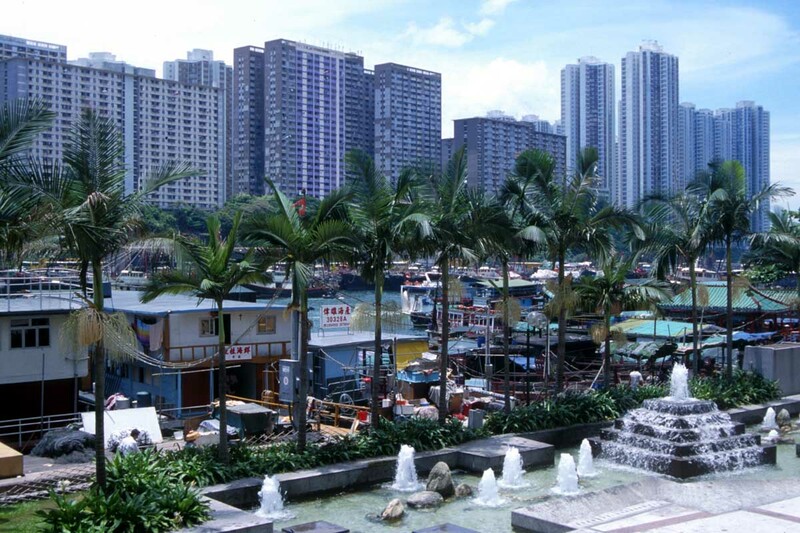 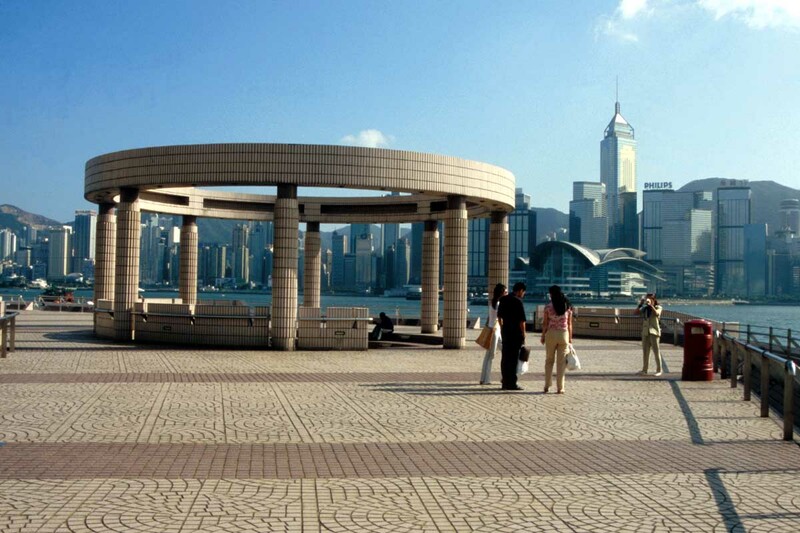 The harbour water front feels like the centre of everything in Hong Kong and can easily be explored on foot. 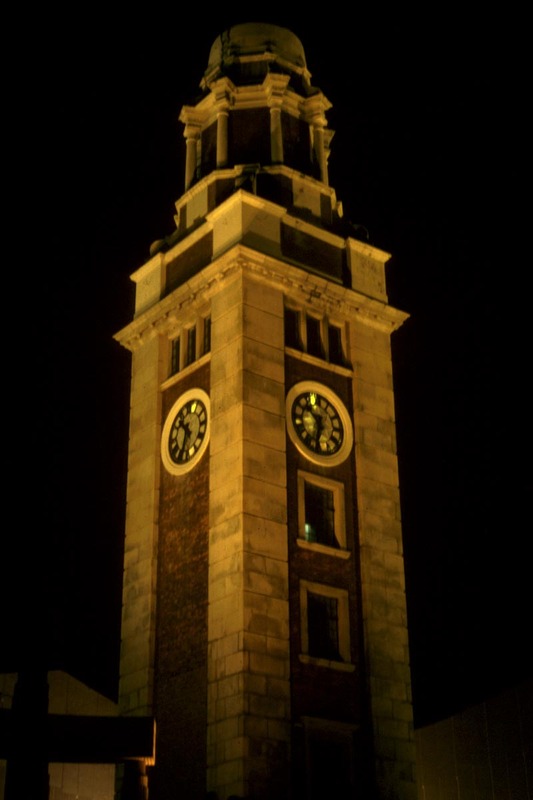 Also not to be missed at the harbour is the Symphony of Lights Show, put on every night and featuring the harbour-front buildings. 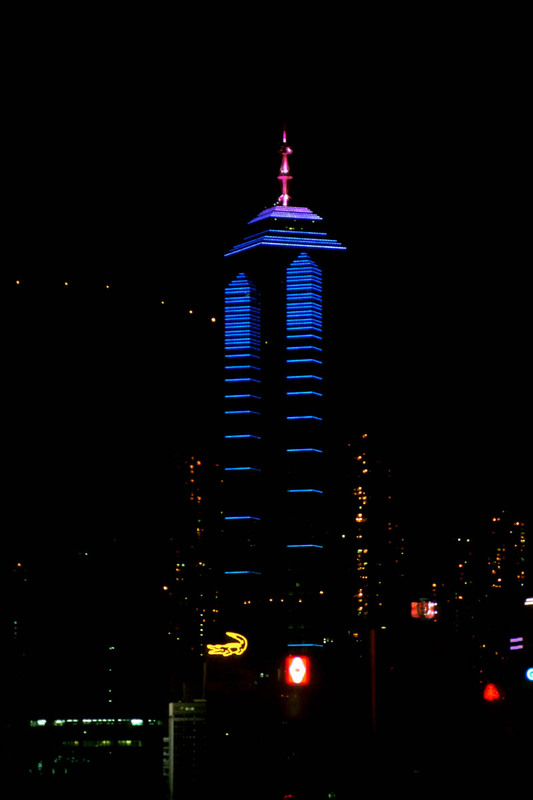 For great photos of the laser and light show, cross to Kowloon on the Star Ferry, where you will find specially provided vantage points looking back across the water. 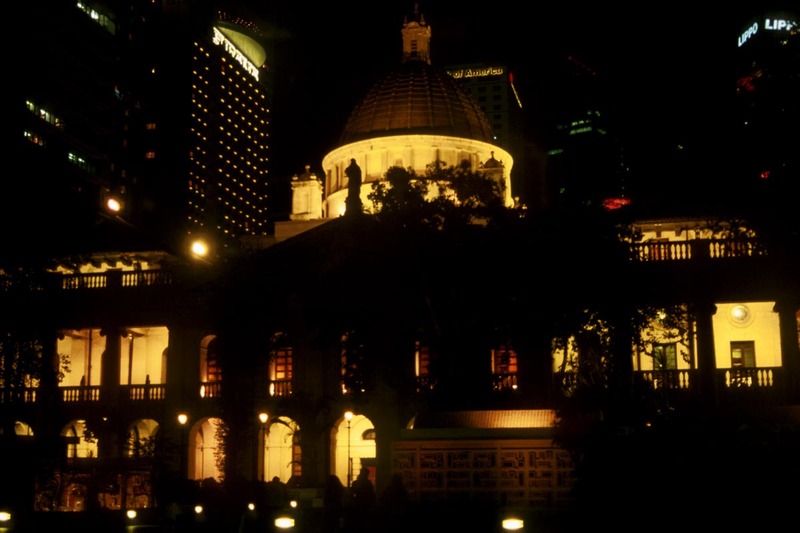 Thousands of people take photographs from here every night, and the atmosphere is one of excitement and wonder. 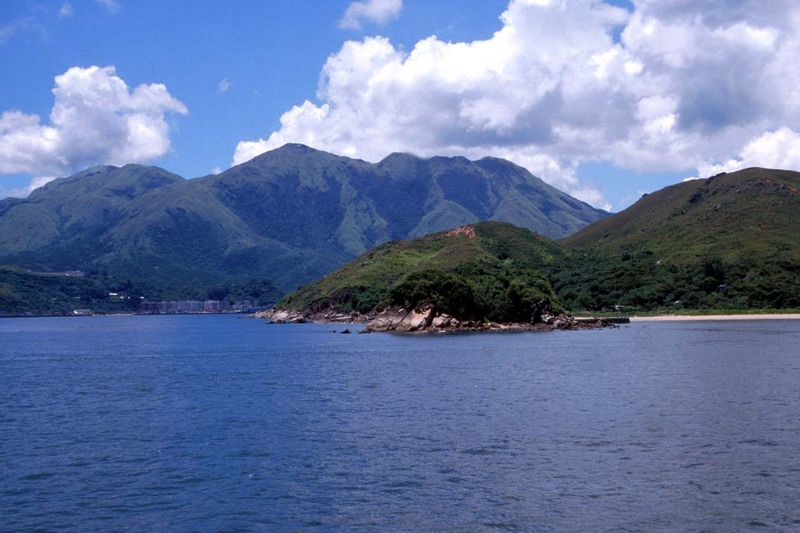 Nature lovers shouldn’t miss The Hong Kong Global Geopark of China, which covers eight stunning scenic areas in the New Territories. 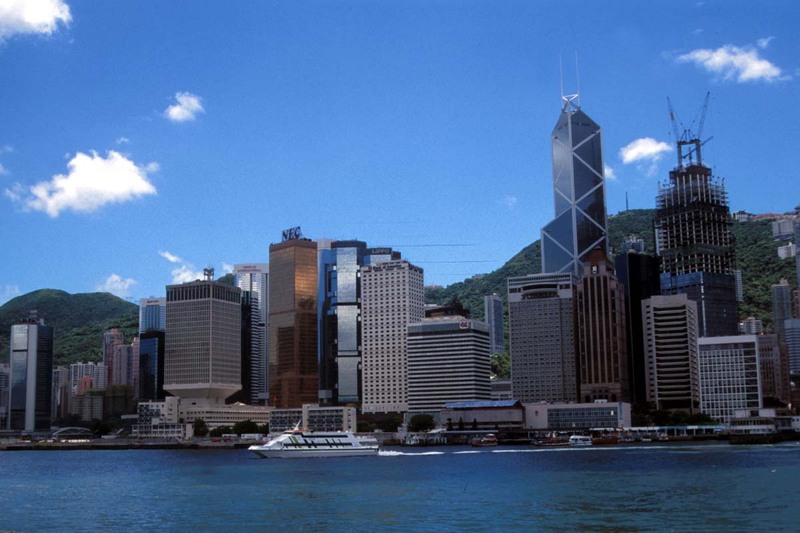 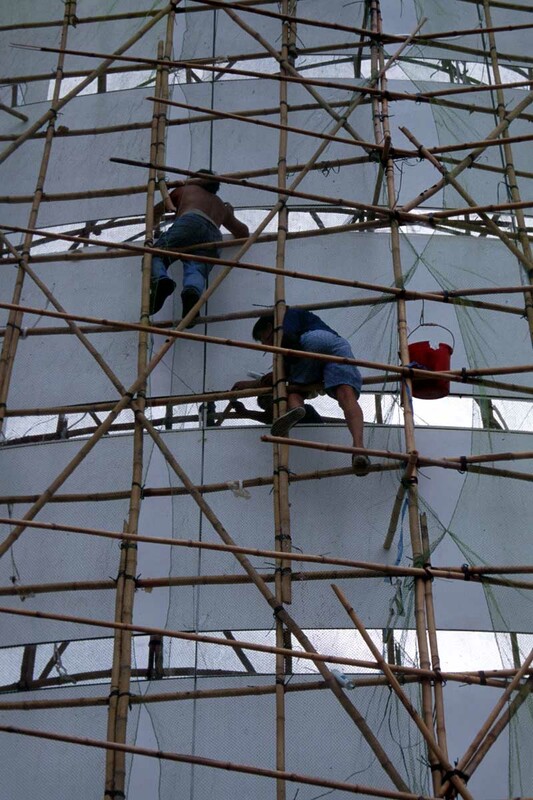 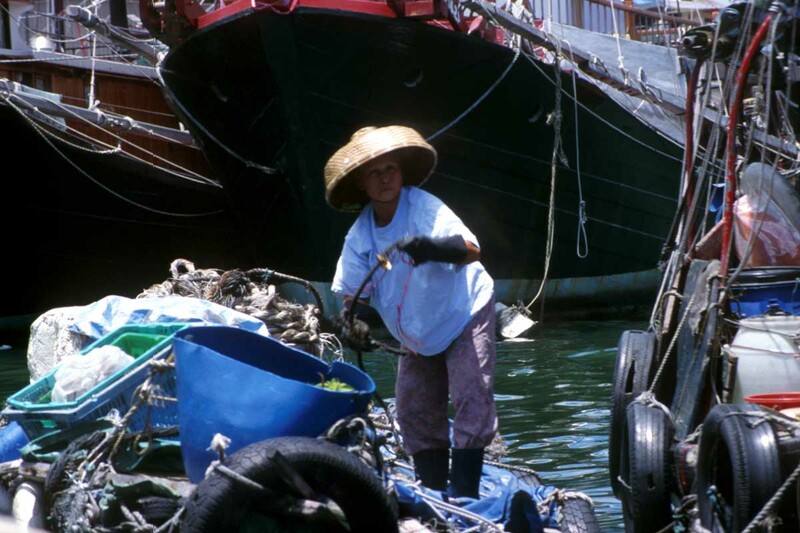 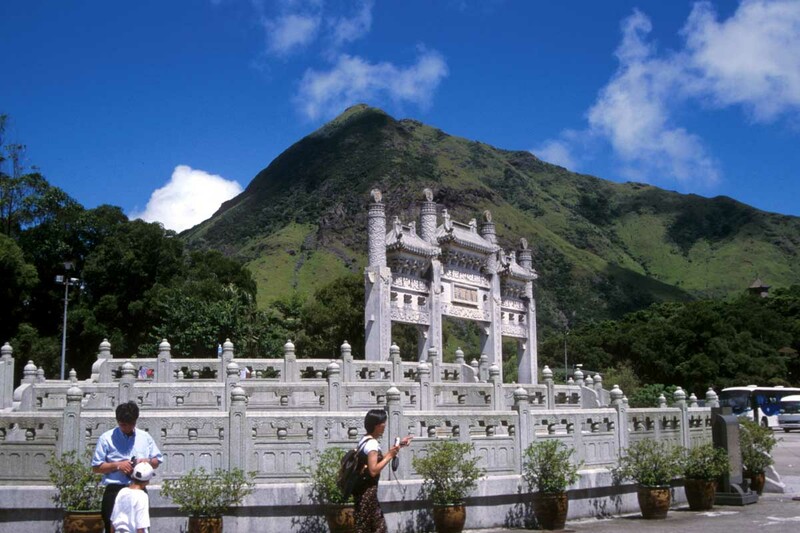 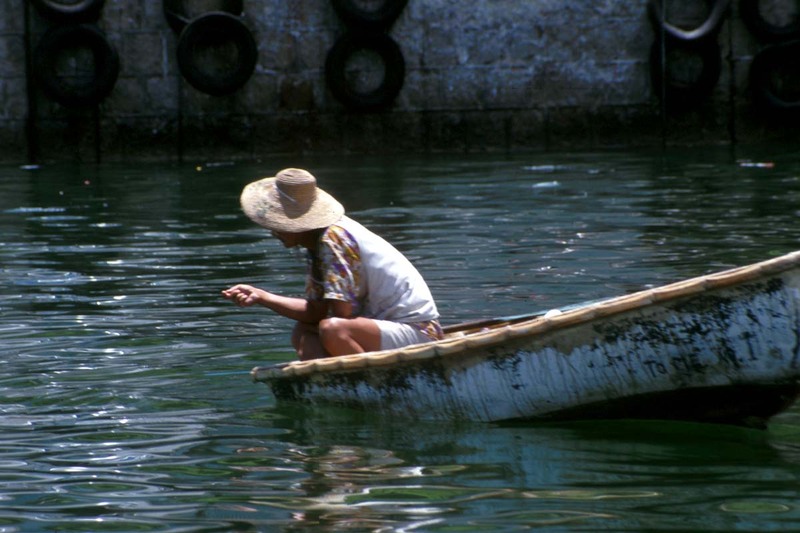 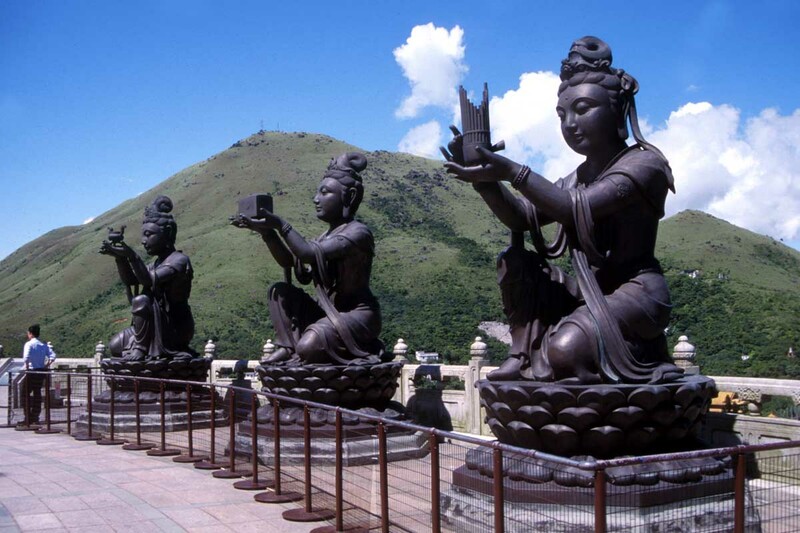 Hong Kong has so many attractions and photographic opportunities that it is impossible to mention them here. 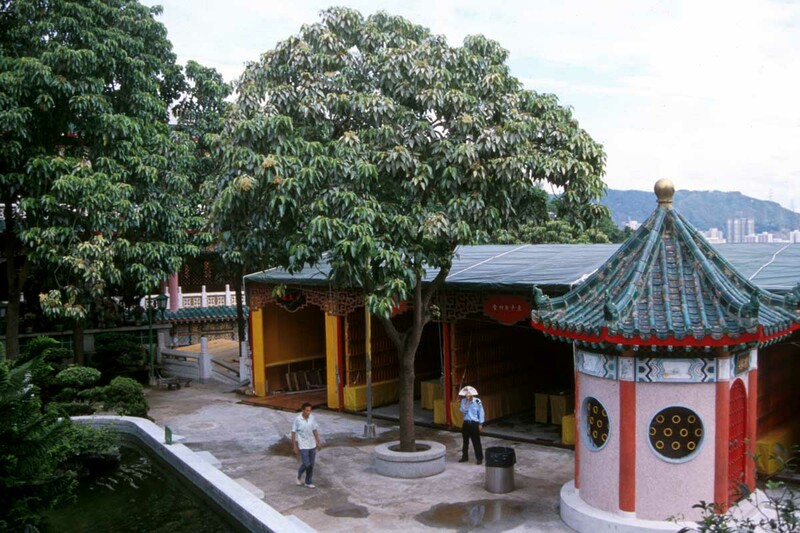 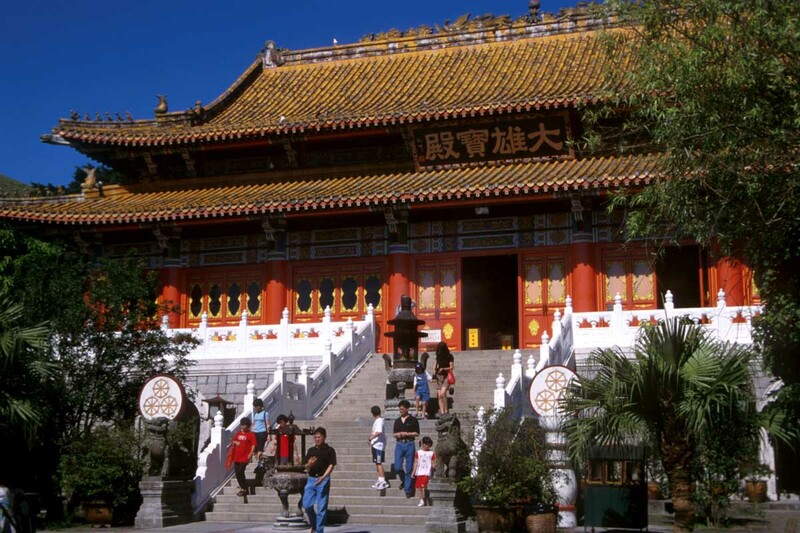 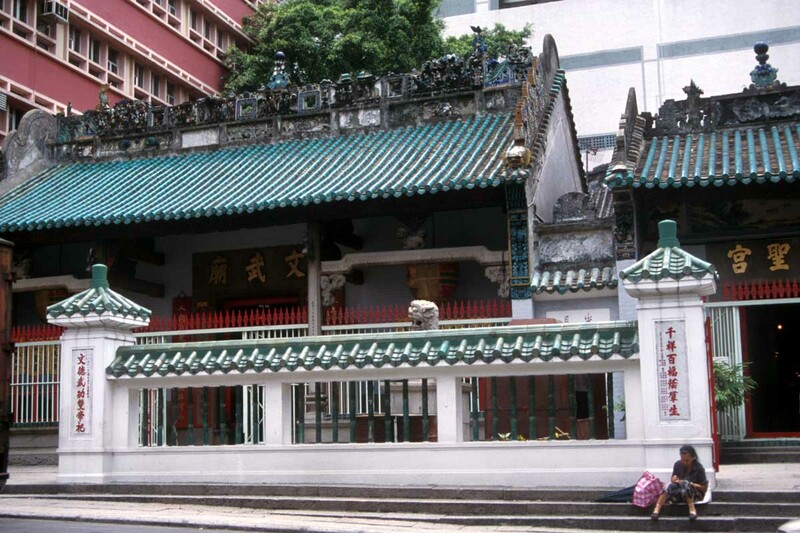 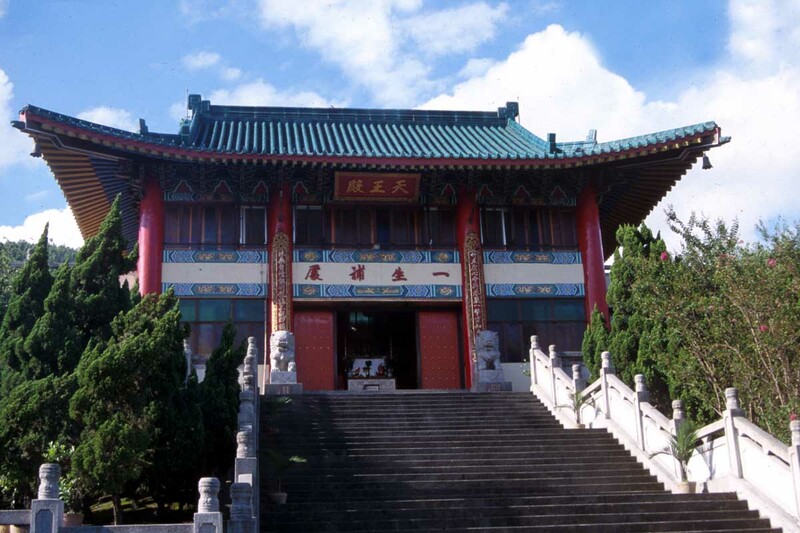 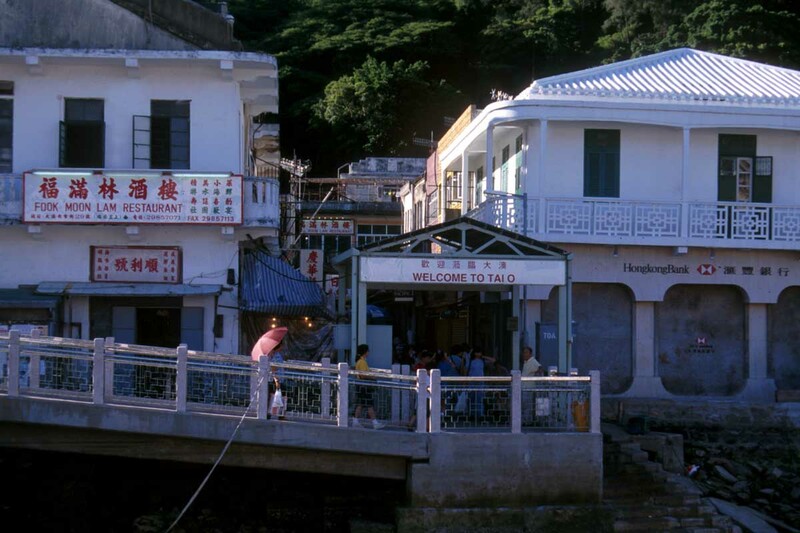 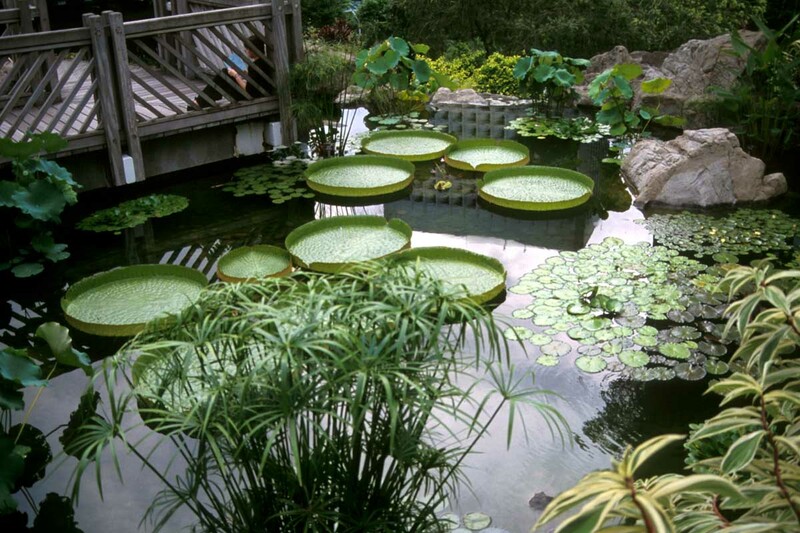 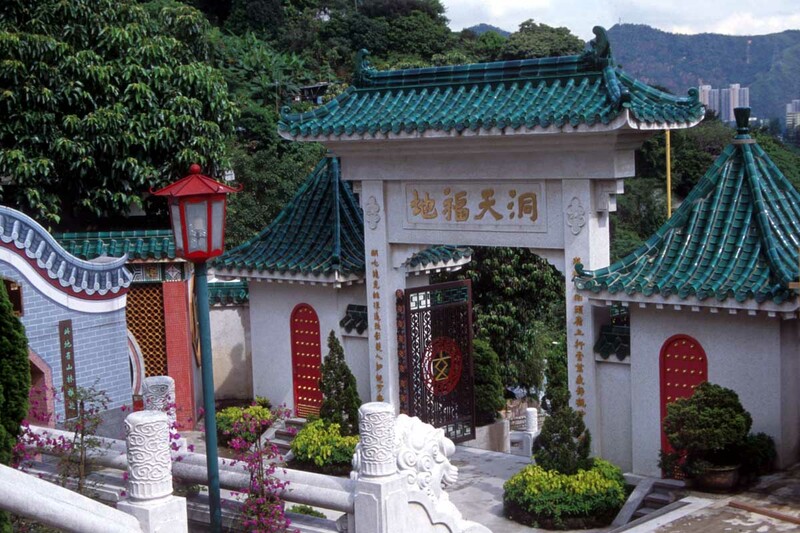 You’ll find a wealth of things to see, do and photograph on Hong Kong Island, in Kowloon, the New Territories and further afield on the outlying islands.